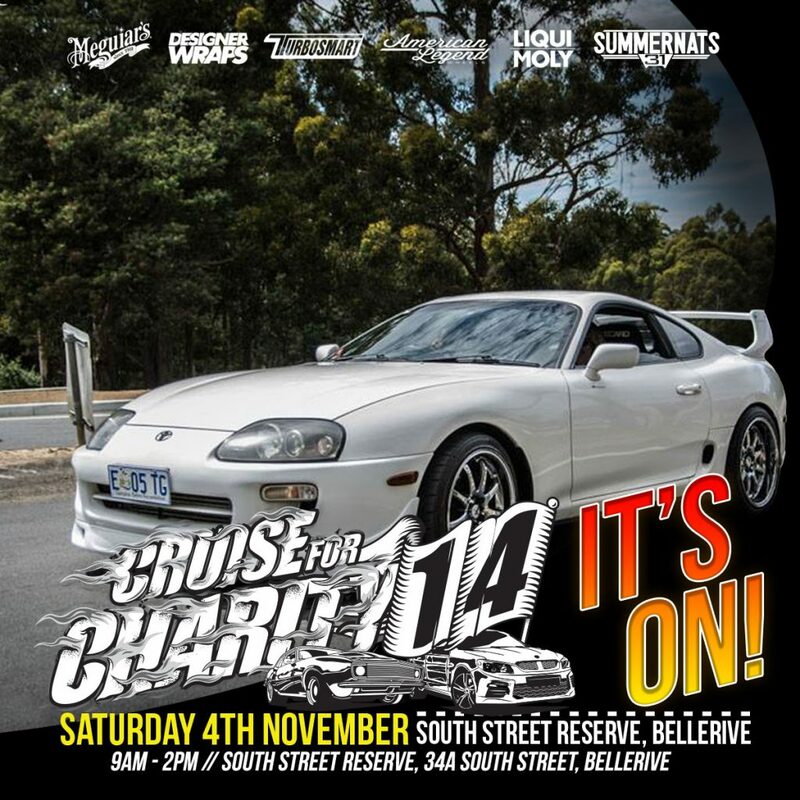 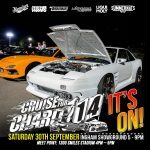 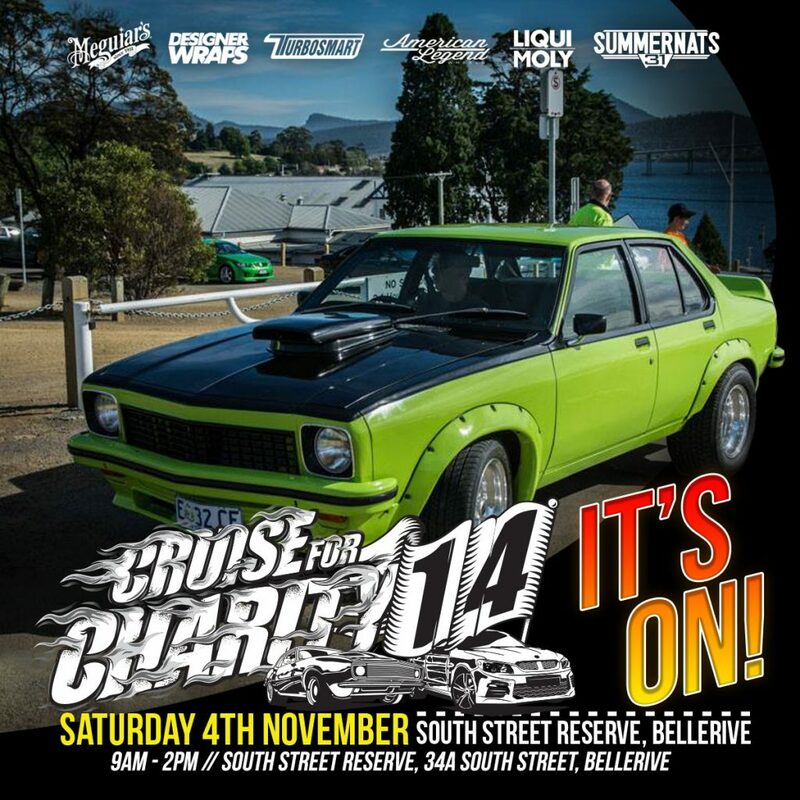 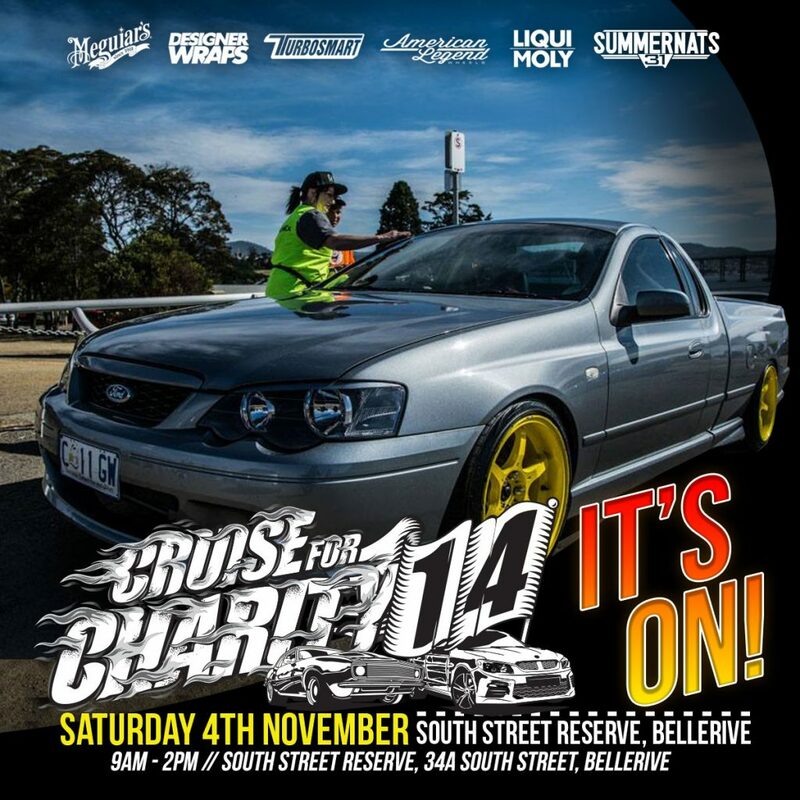 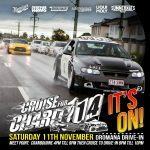 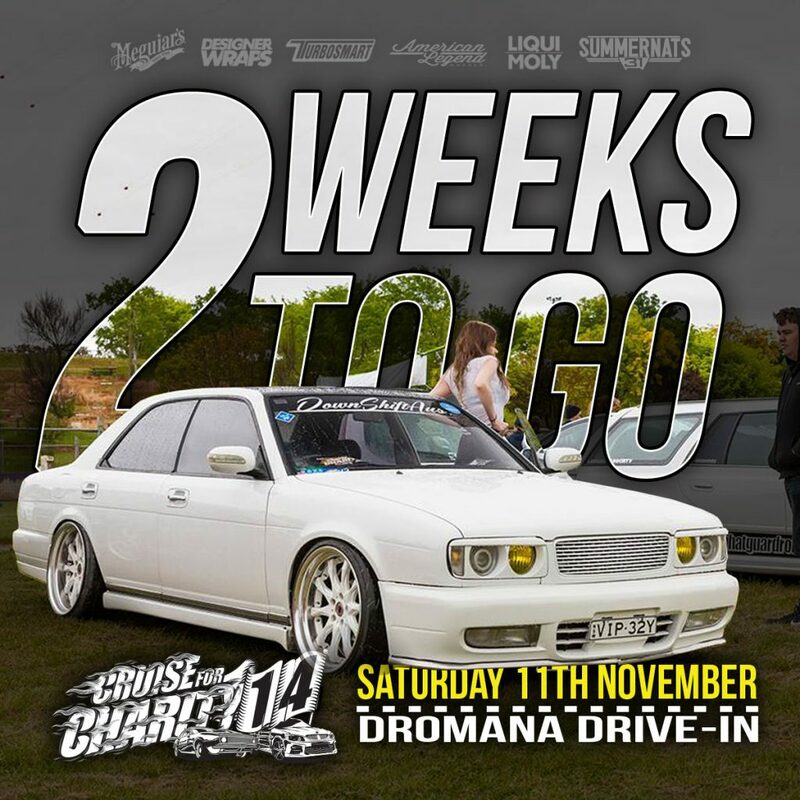 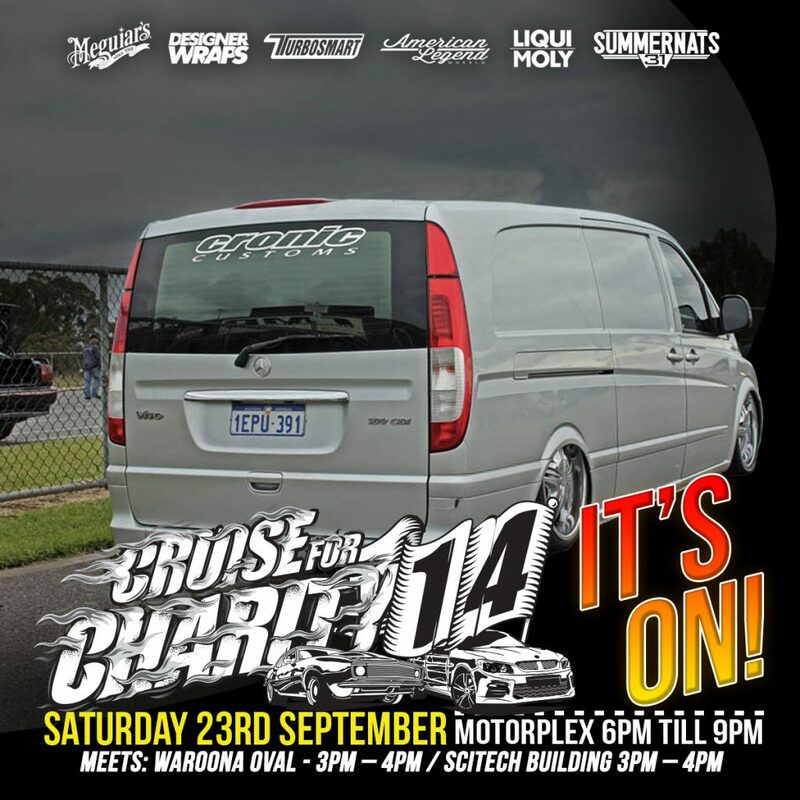 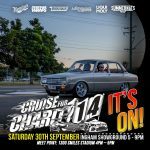 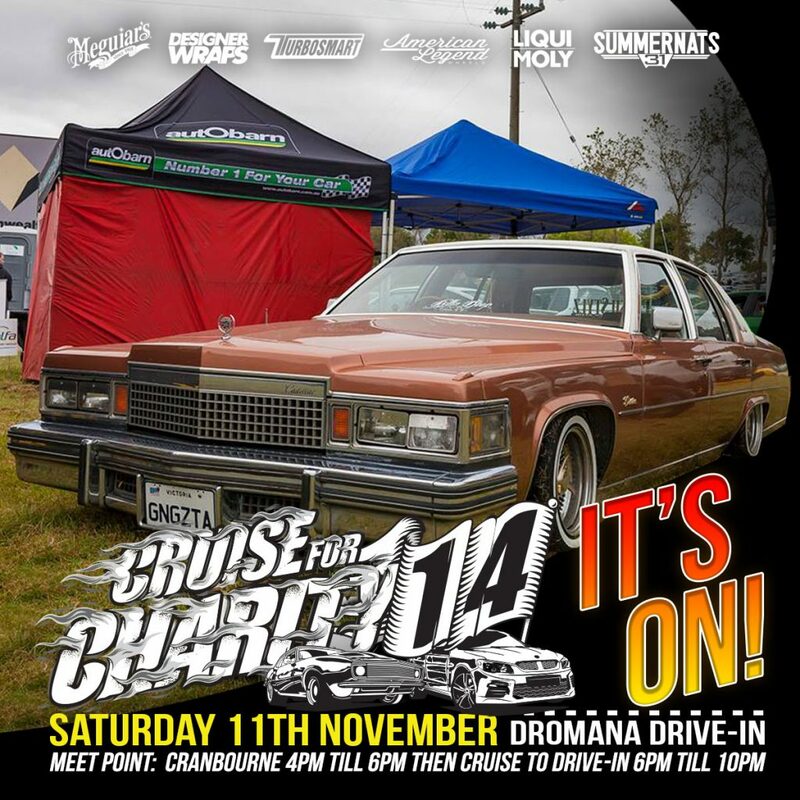 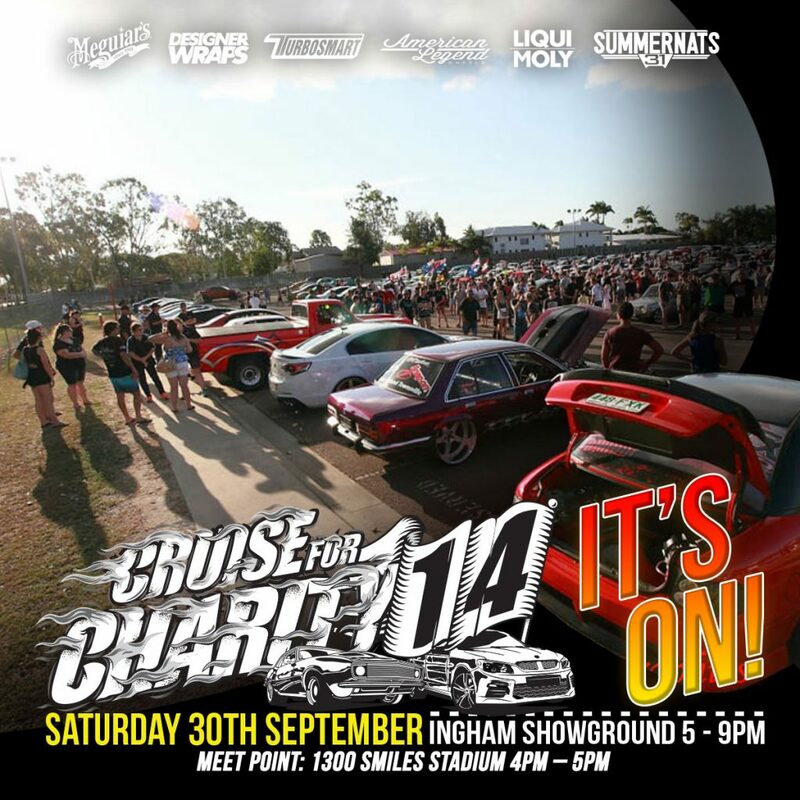 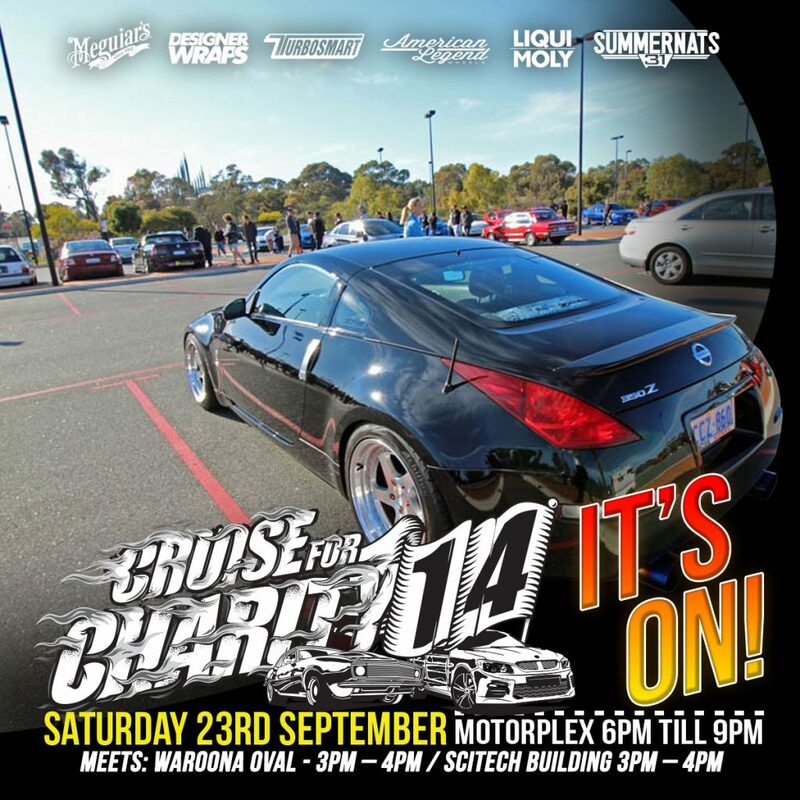 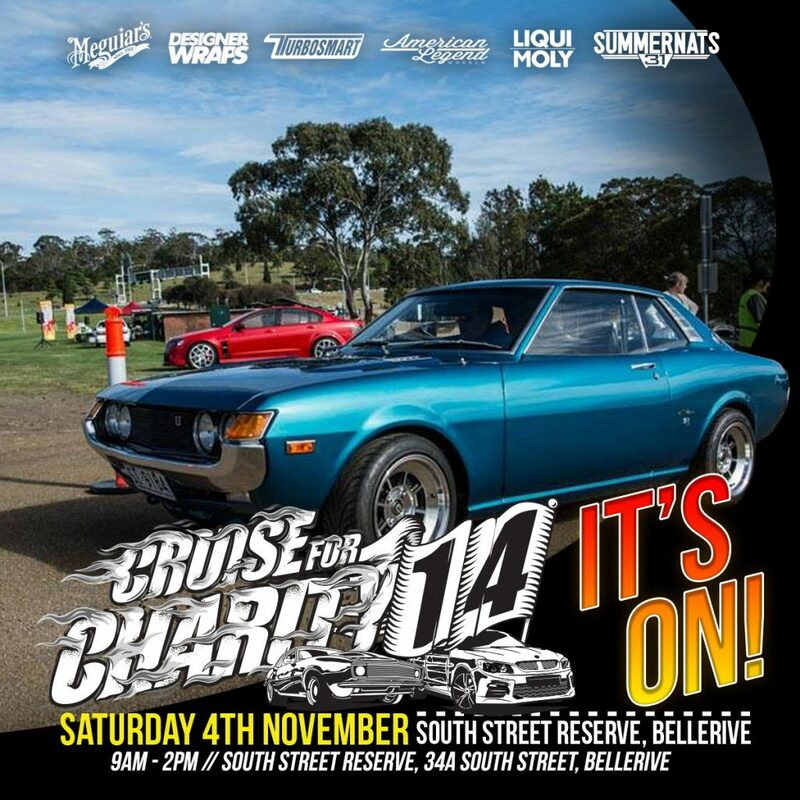 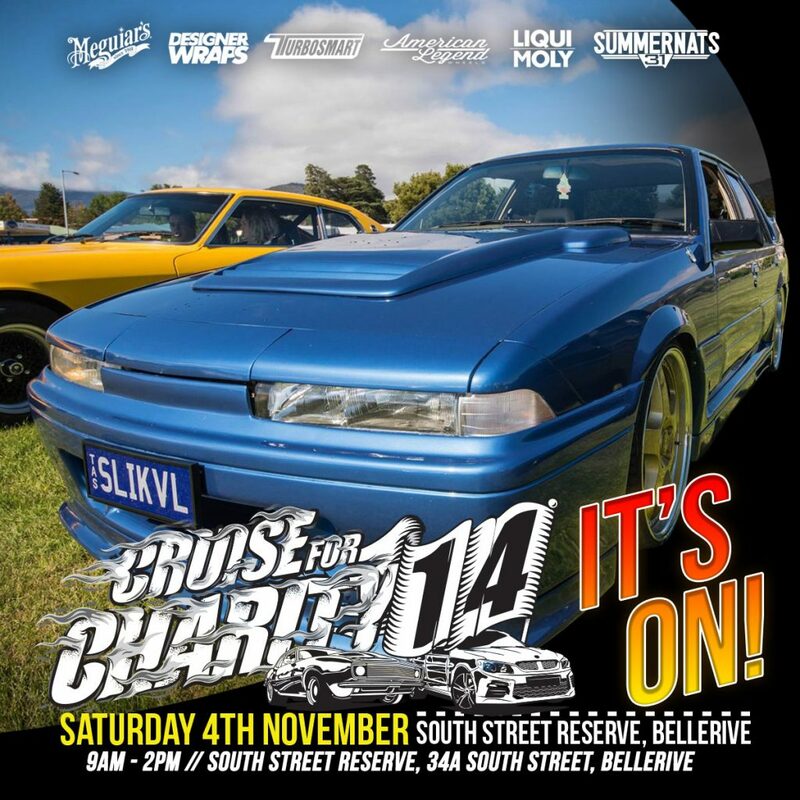 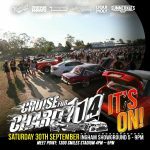 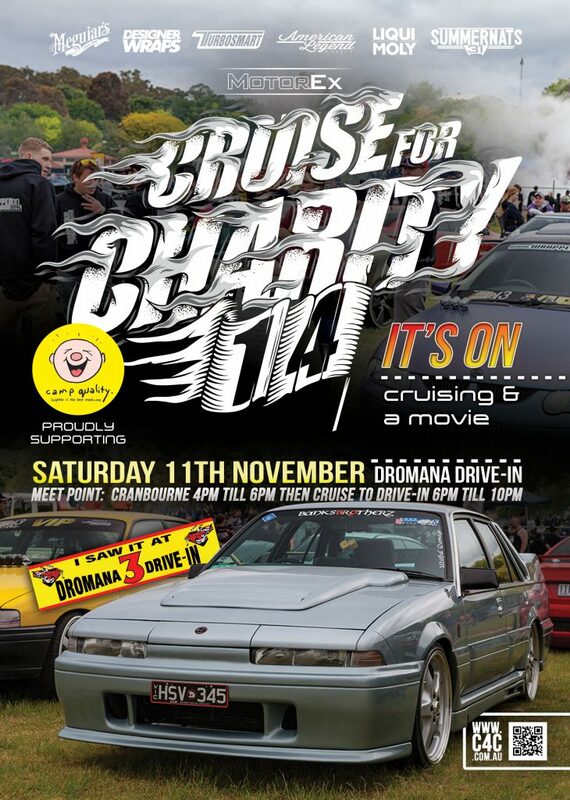 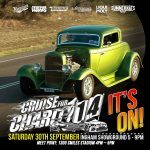 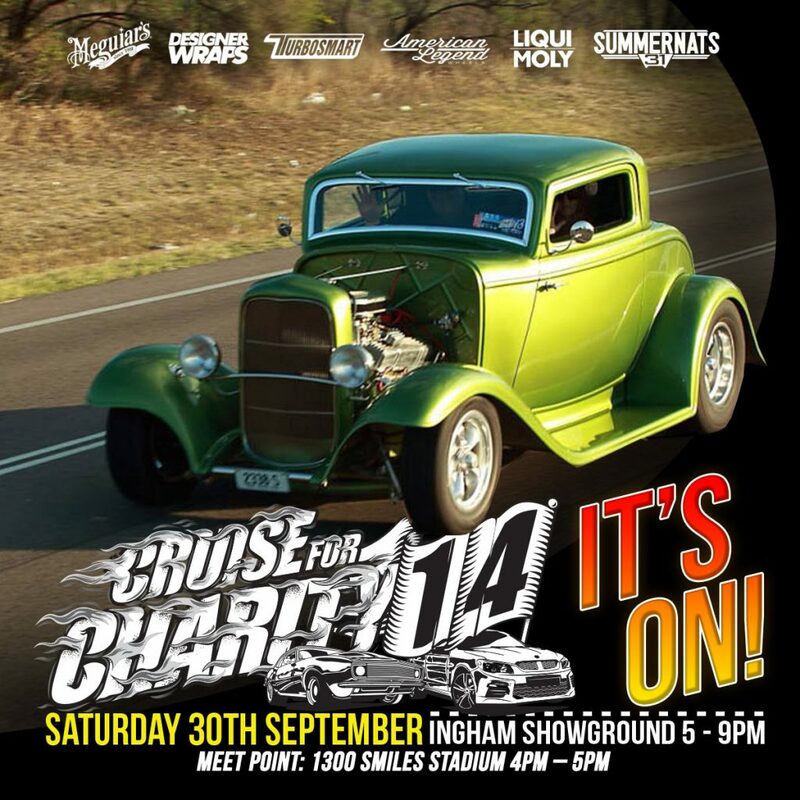 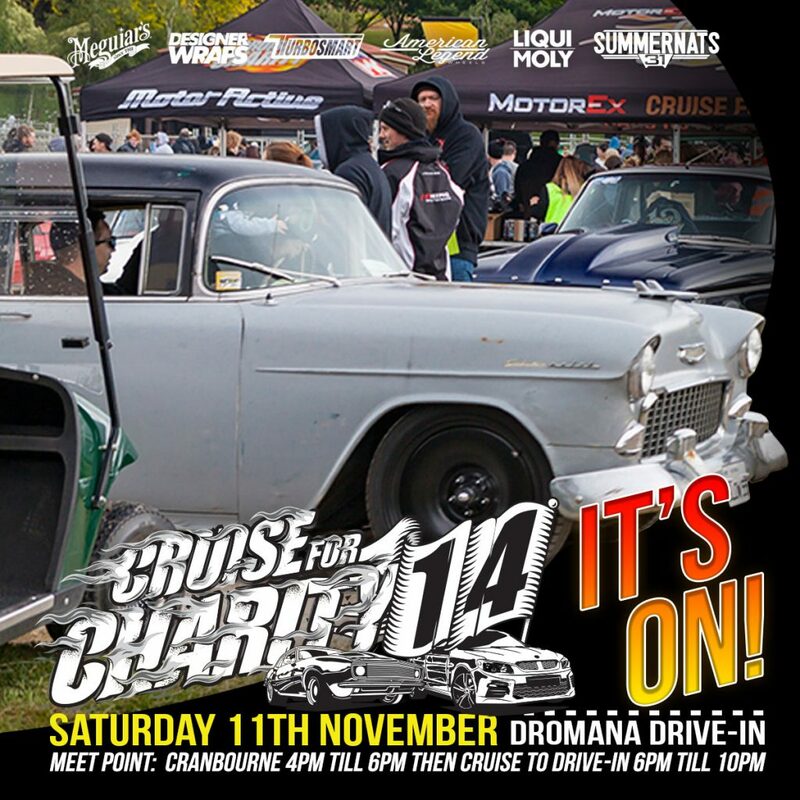 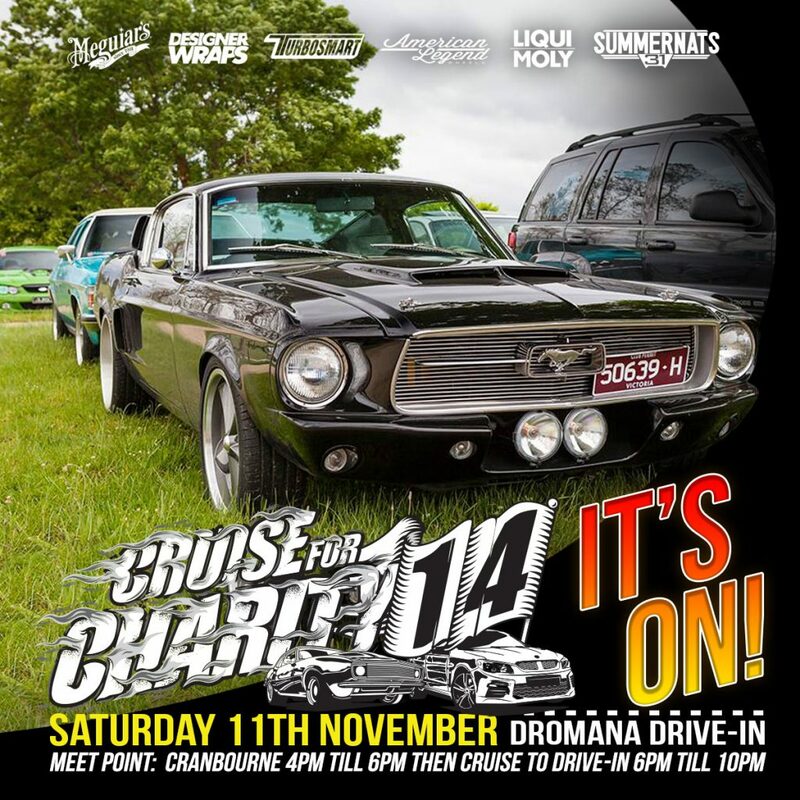 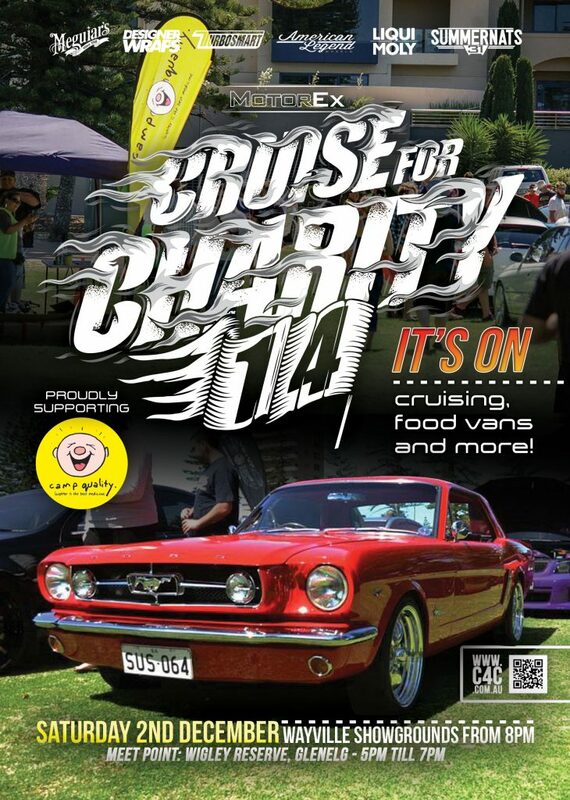 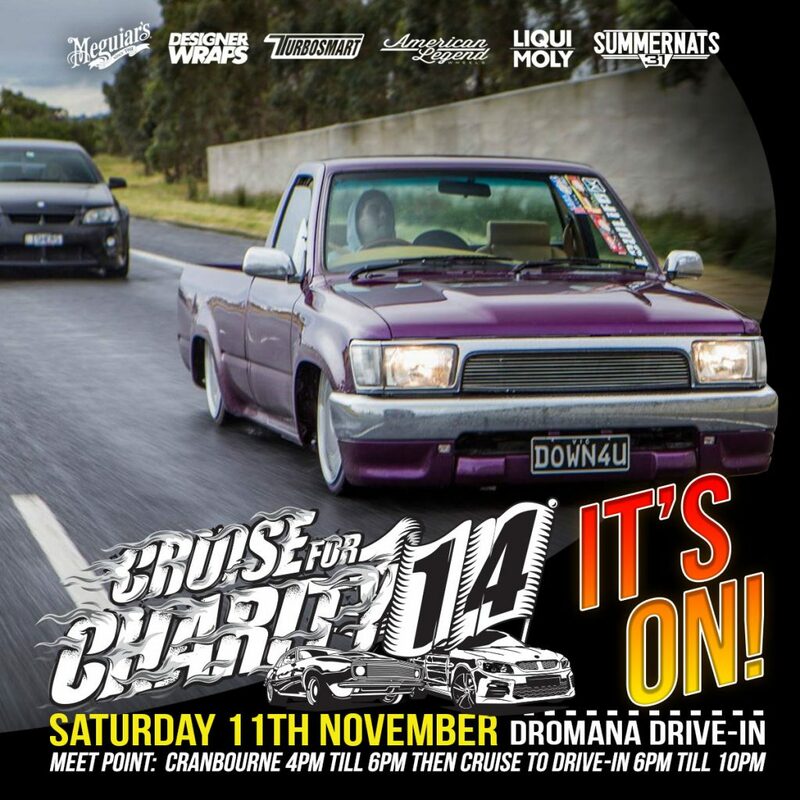 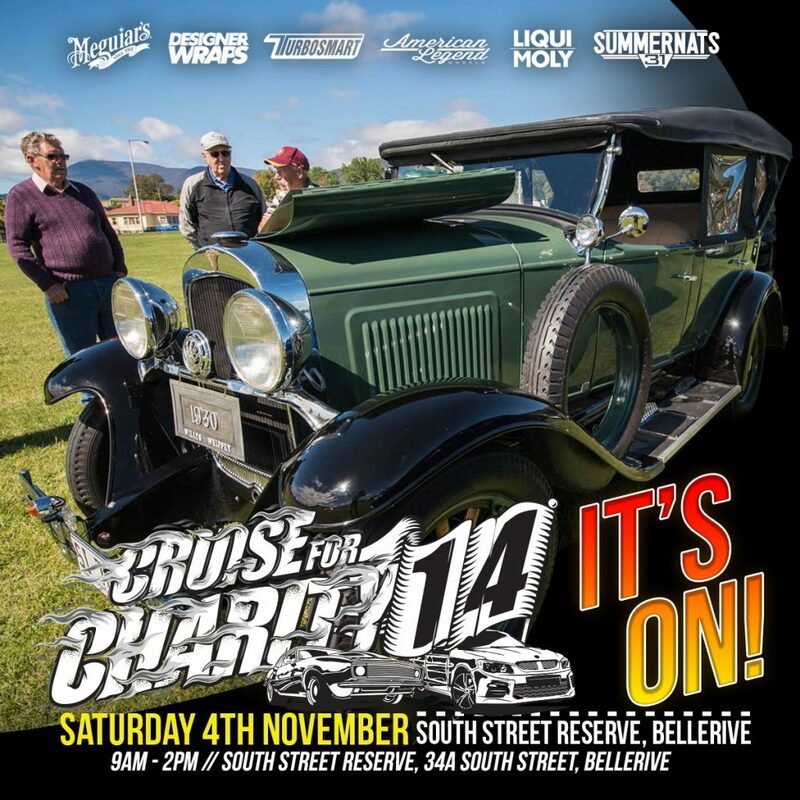 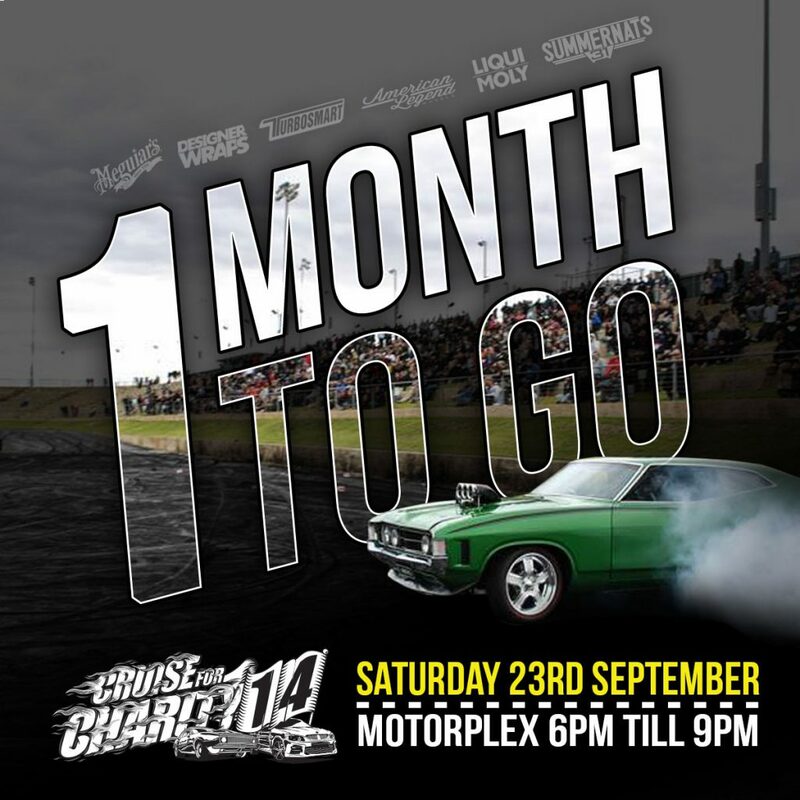 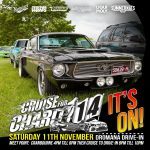 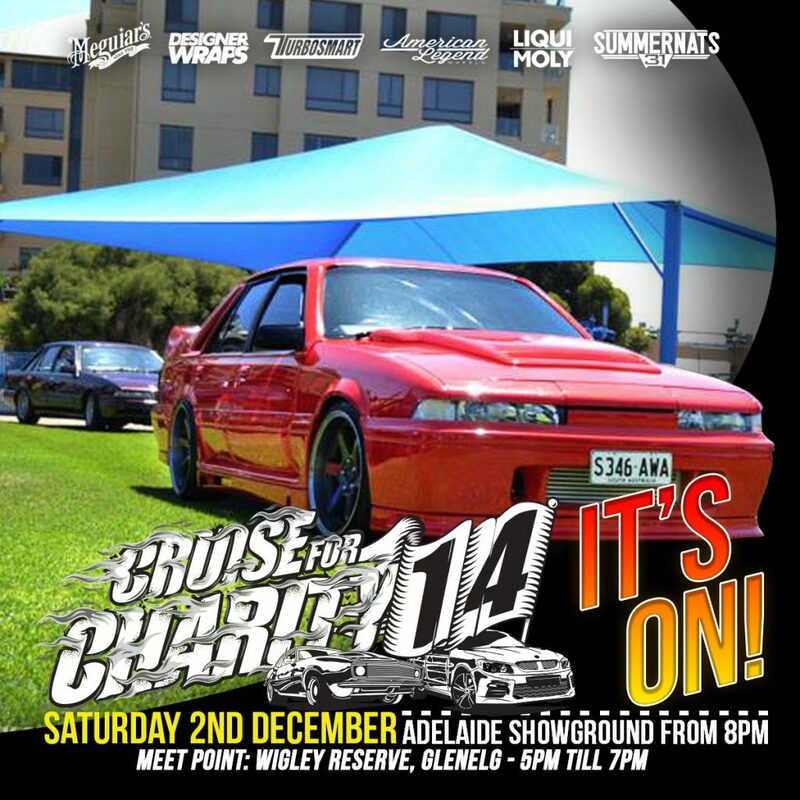 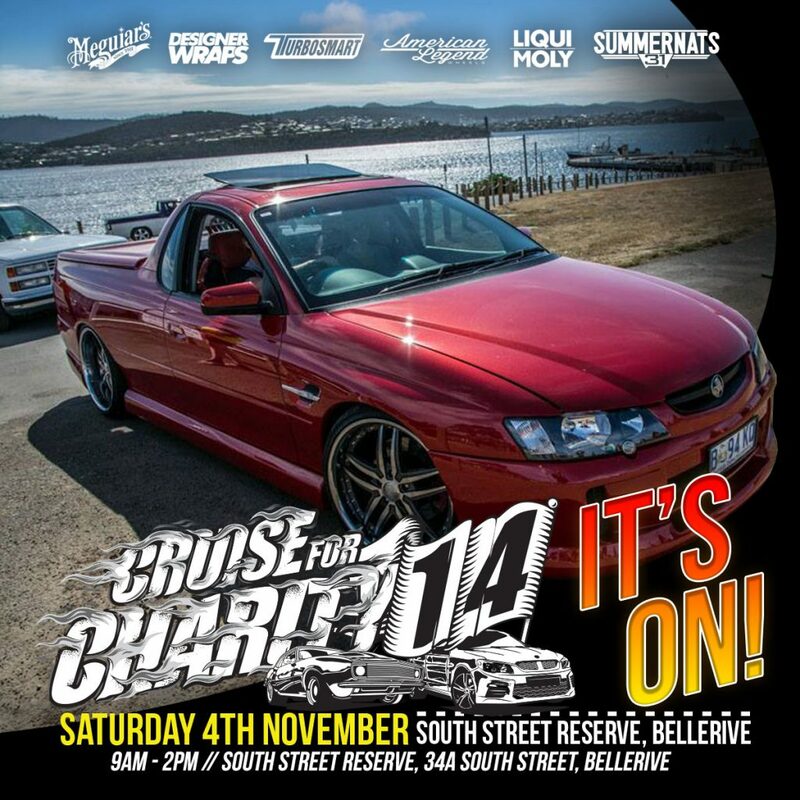 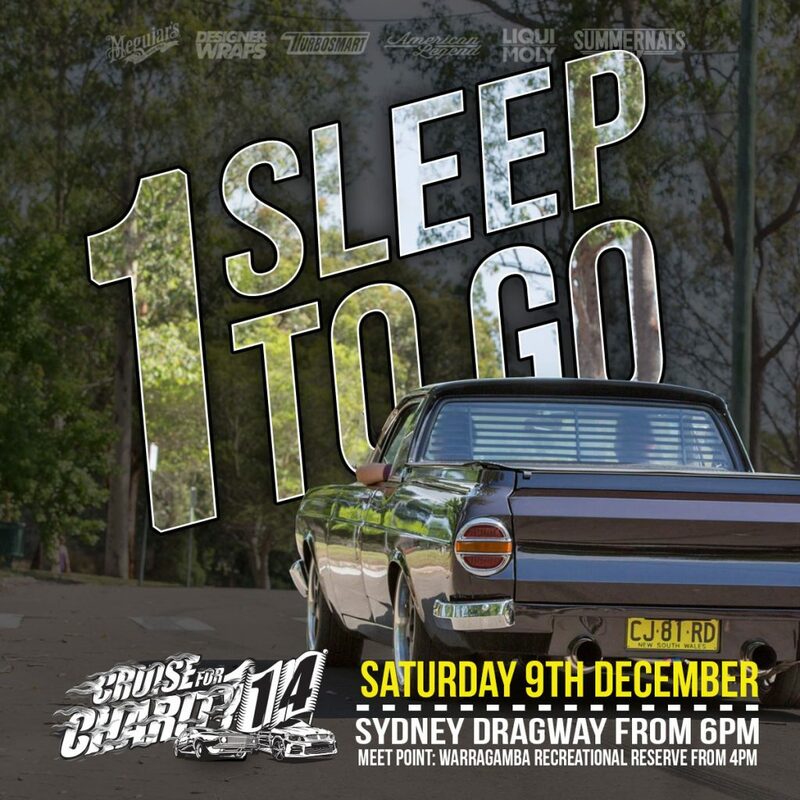 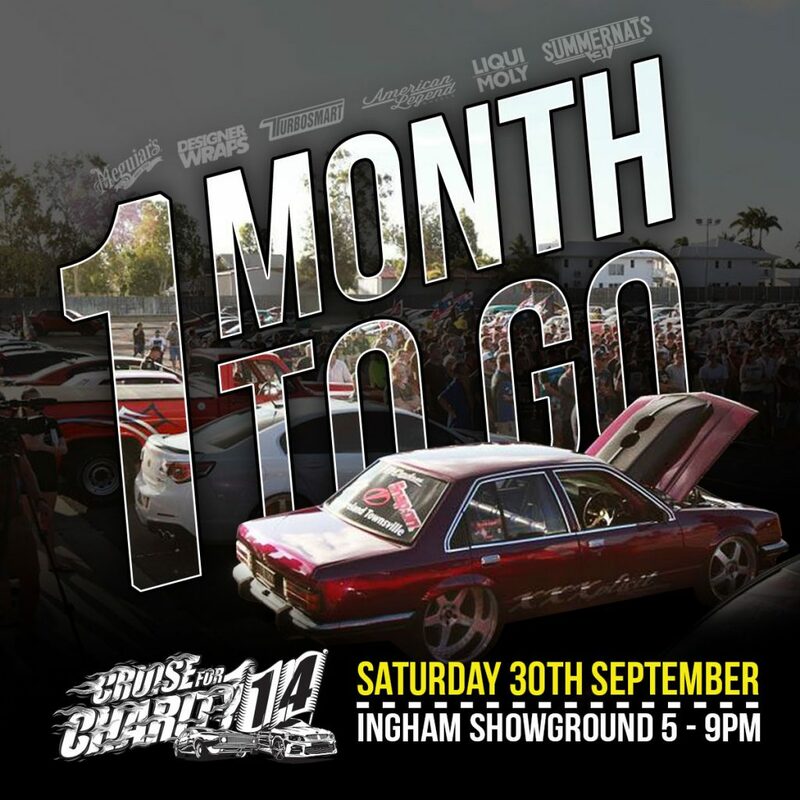 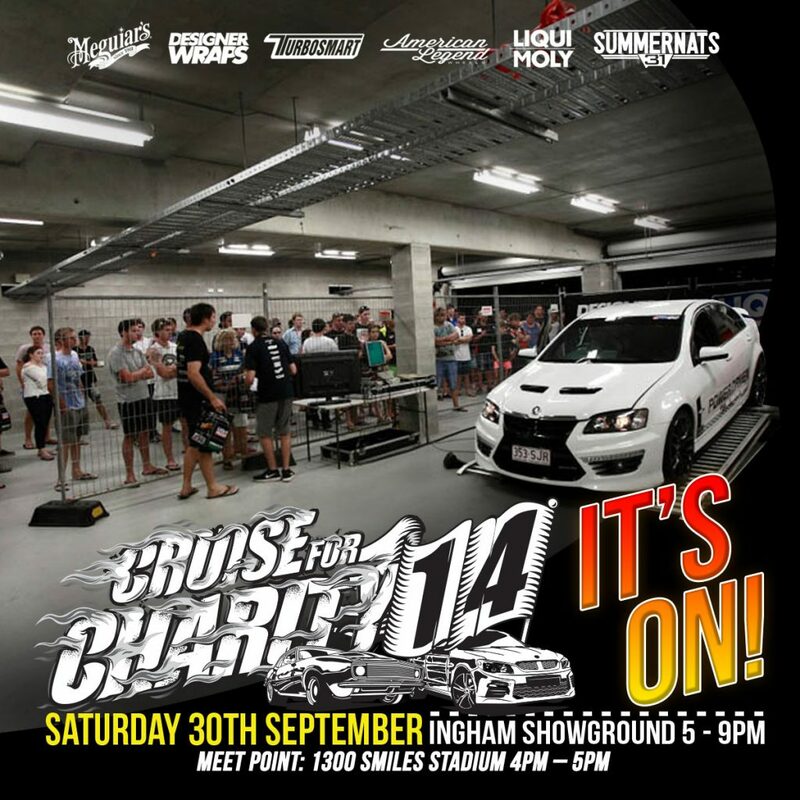 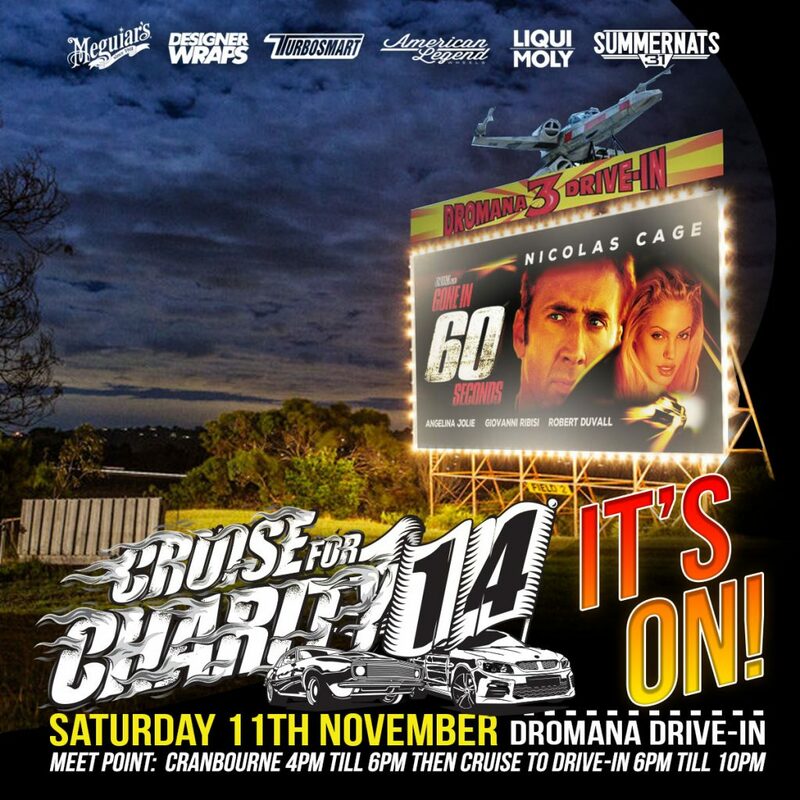 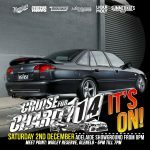 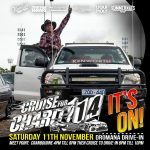 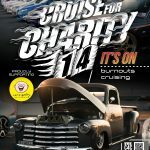 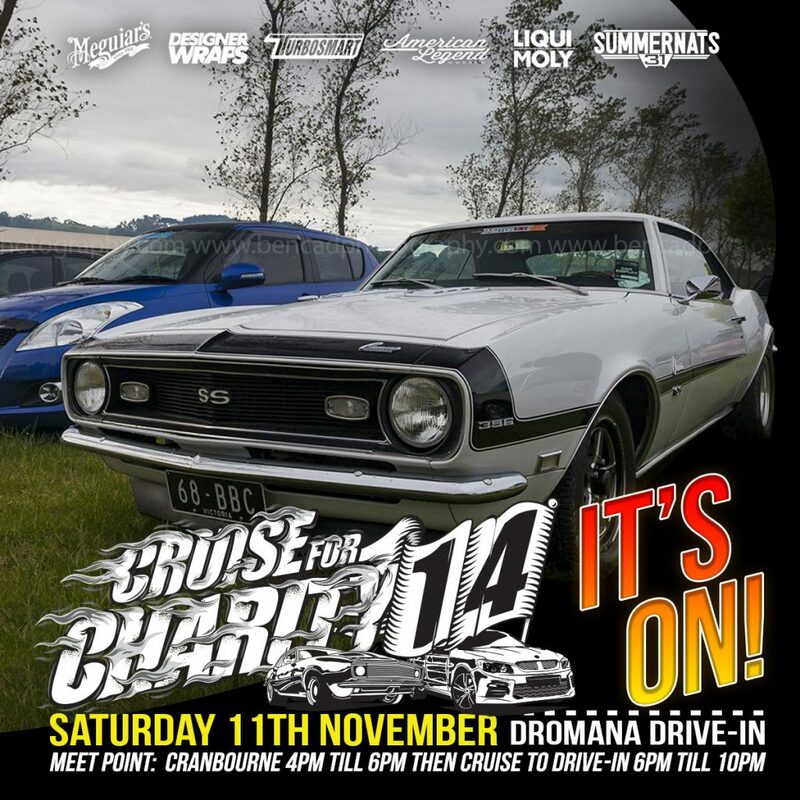 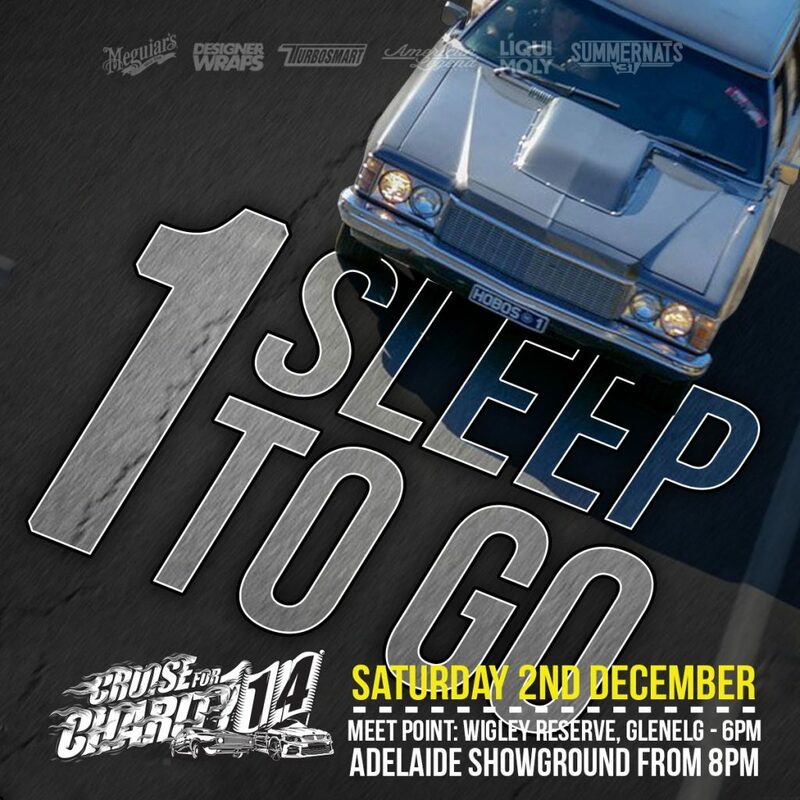 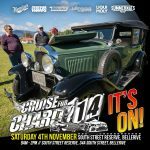 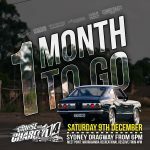 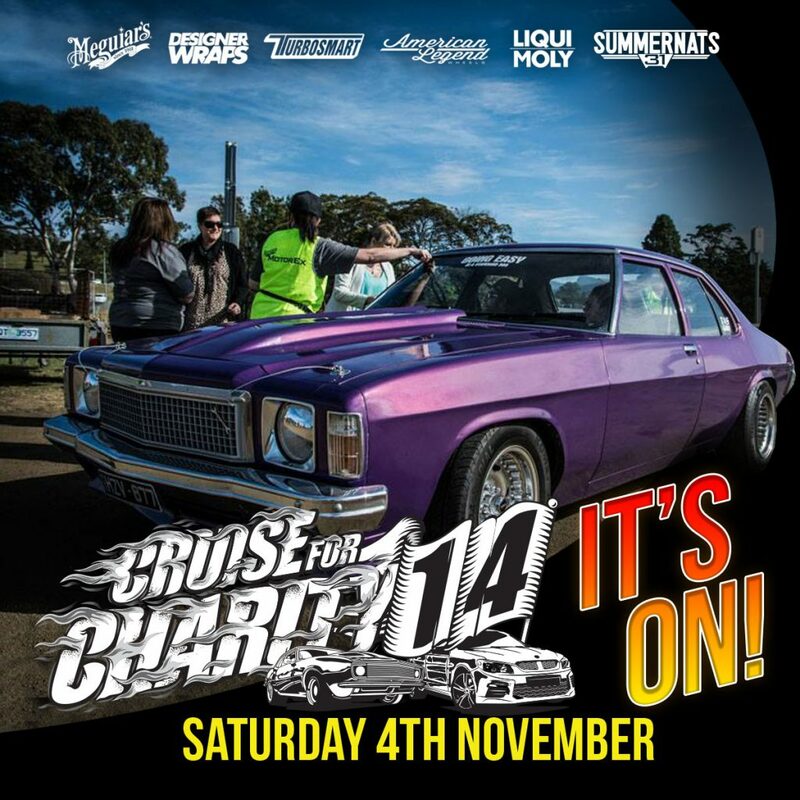 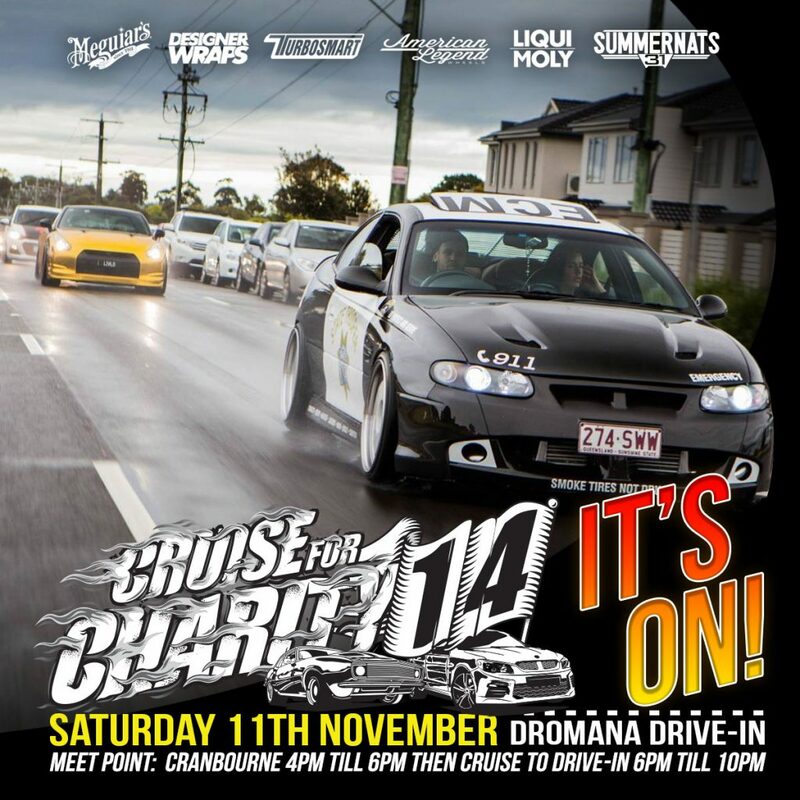 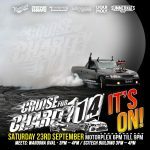 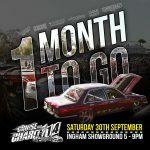 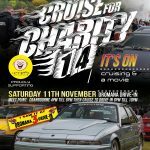 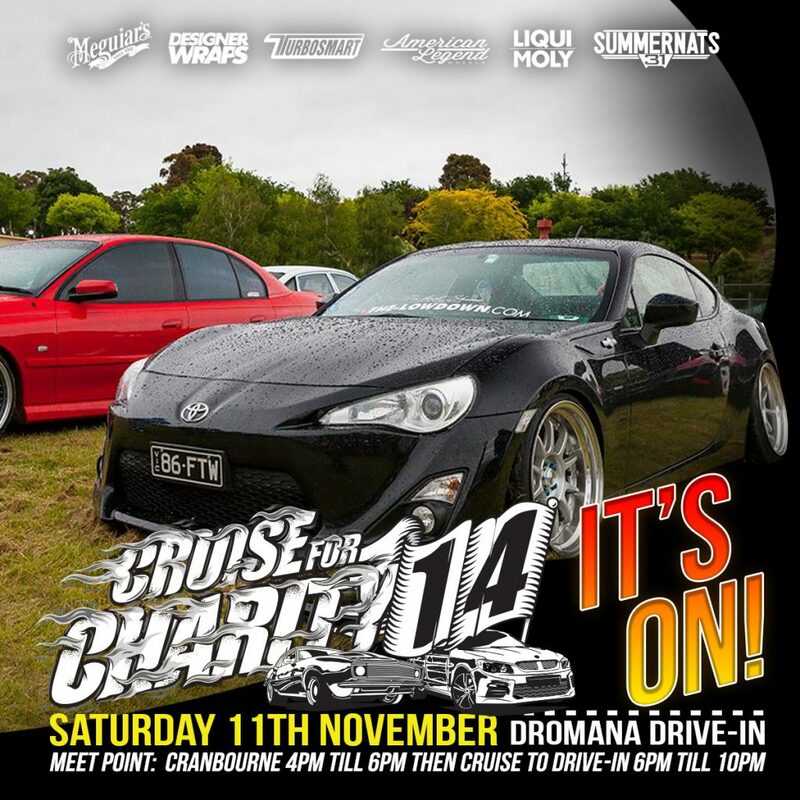 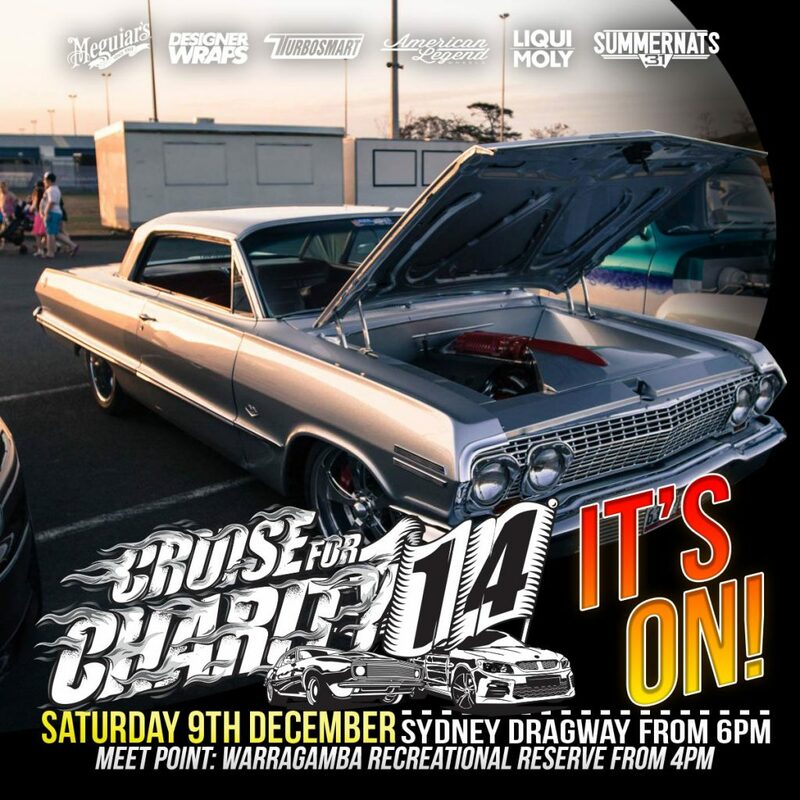 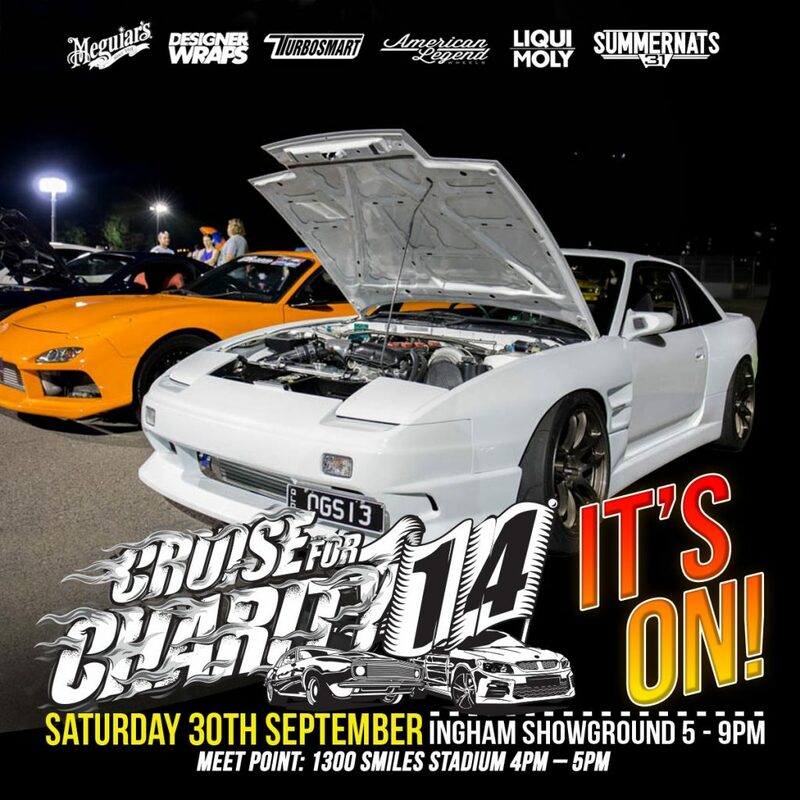 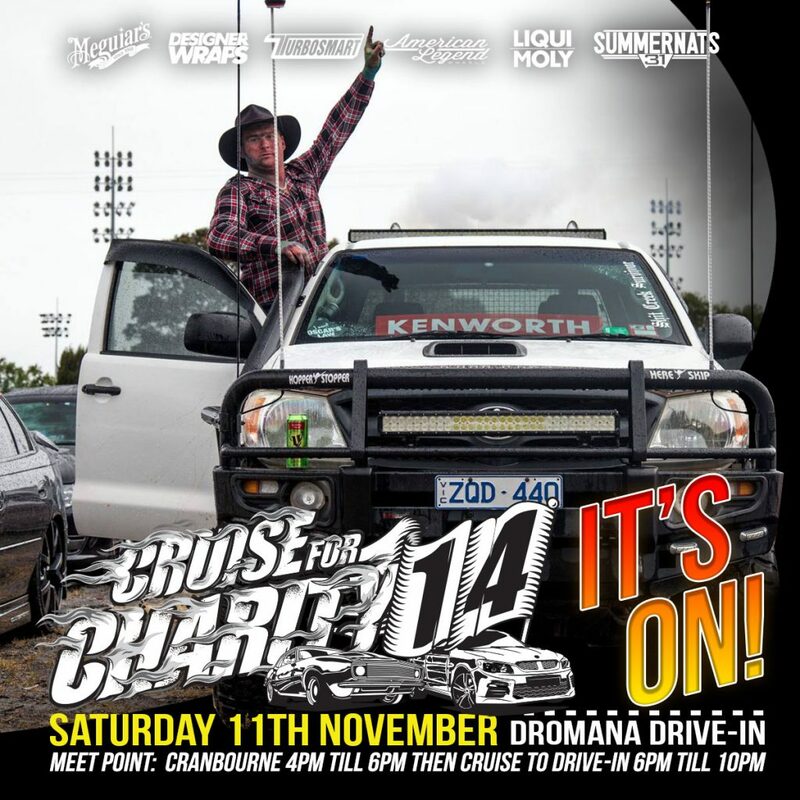 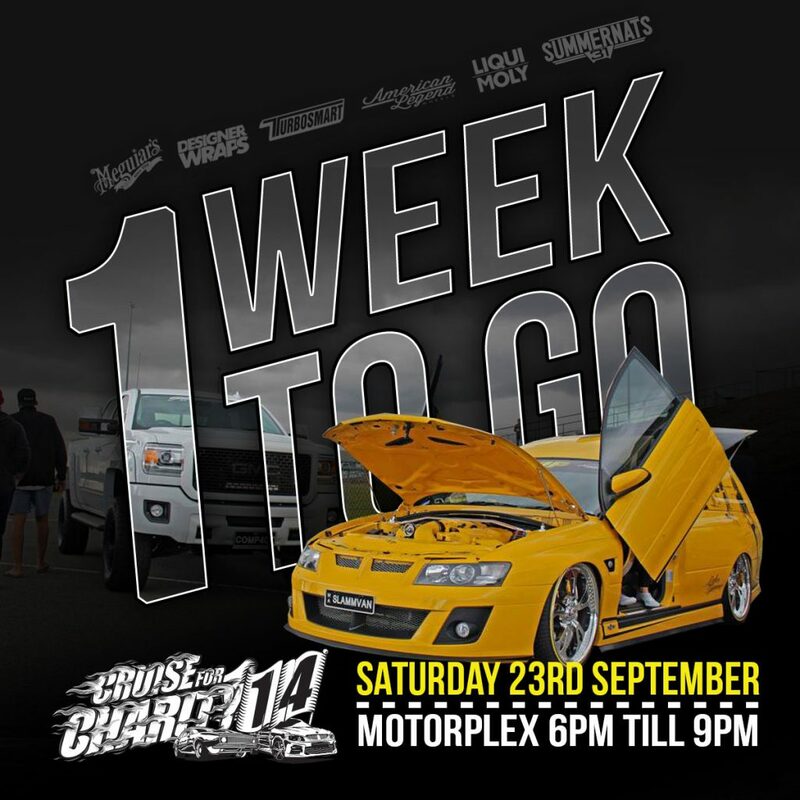 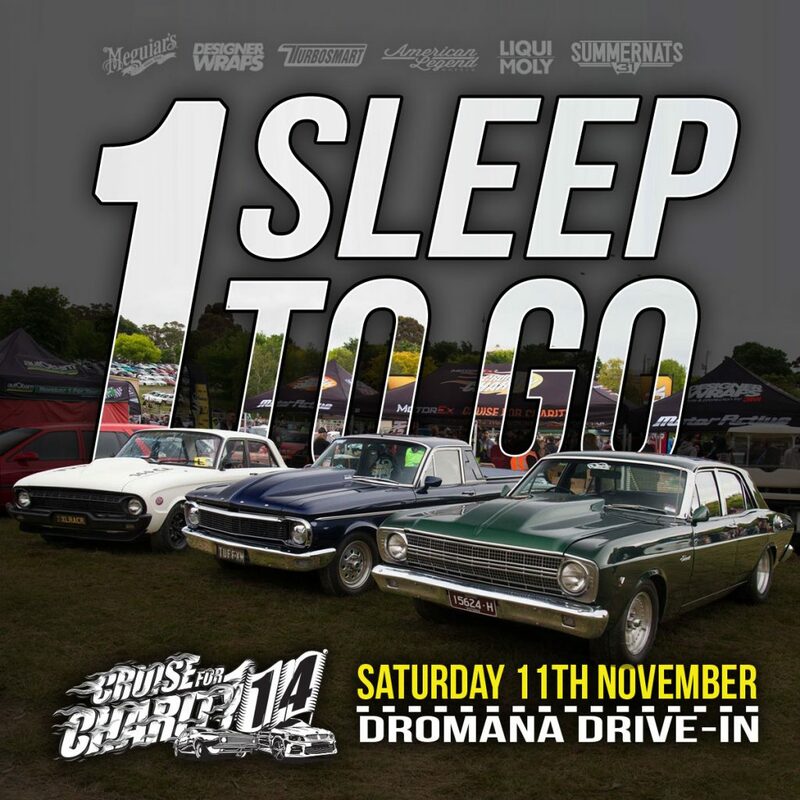 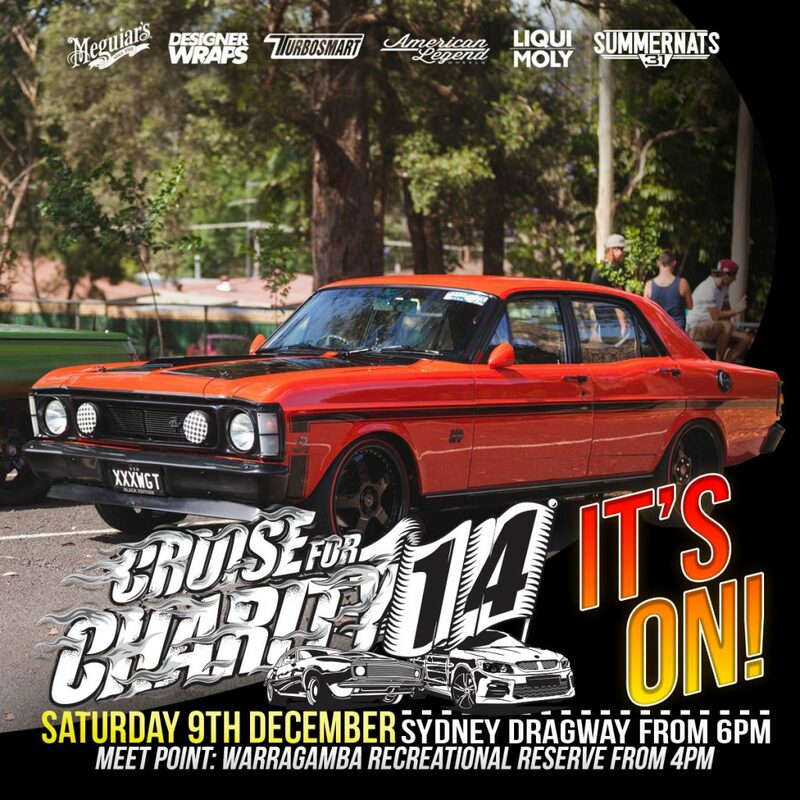 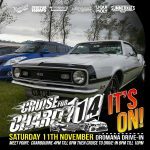 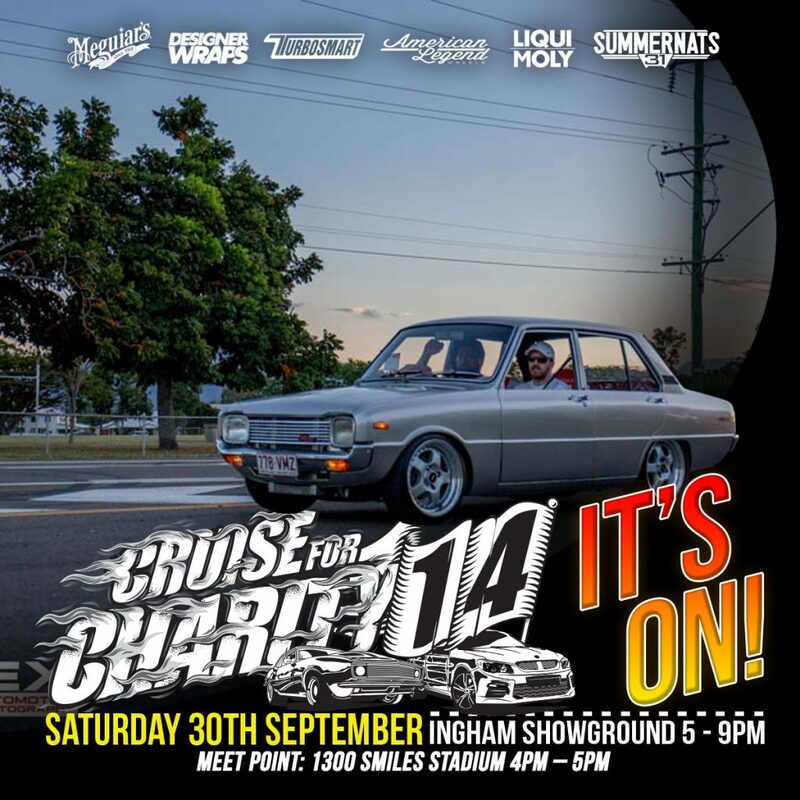 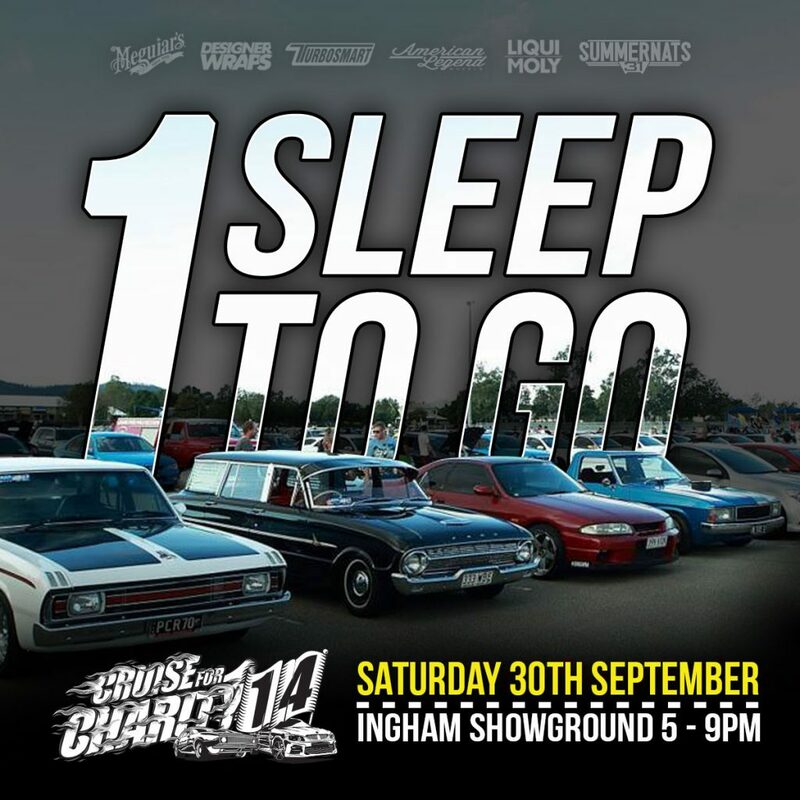 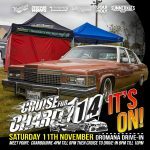 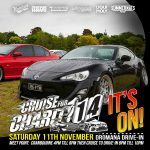 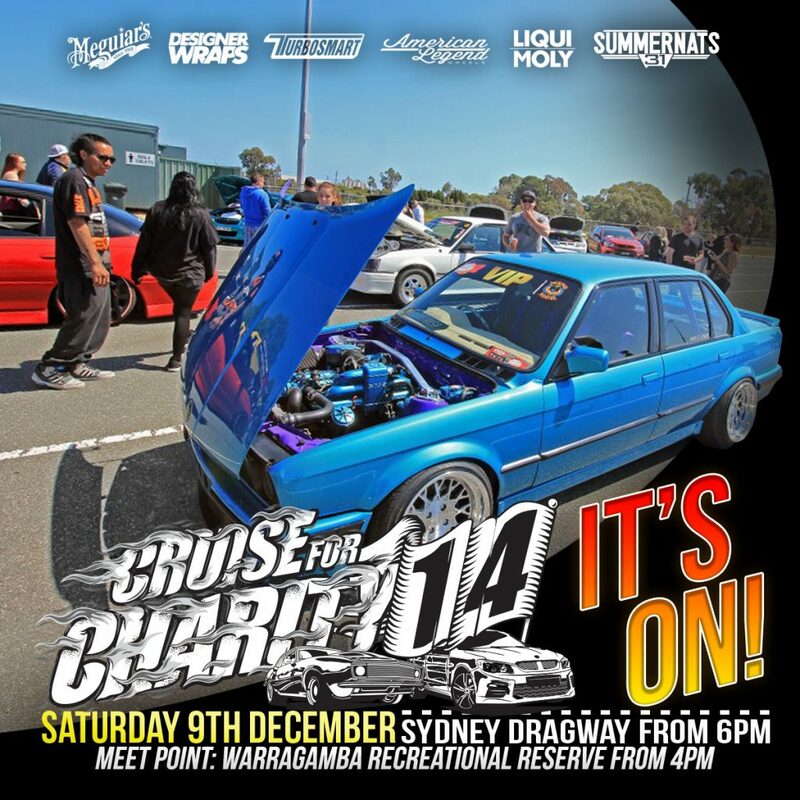 Cruise for Charity – Genuinely my favourite part of the year which typically spans September to Early December! 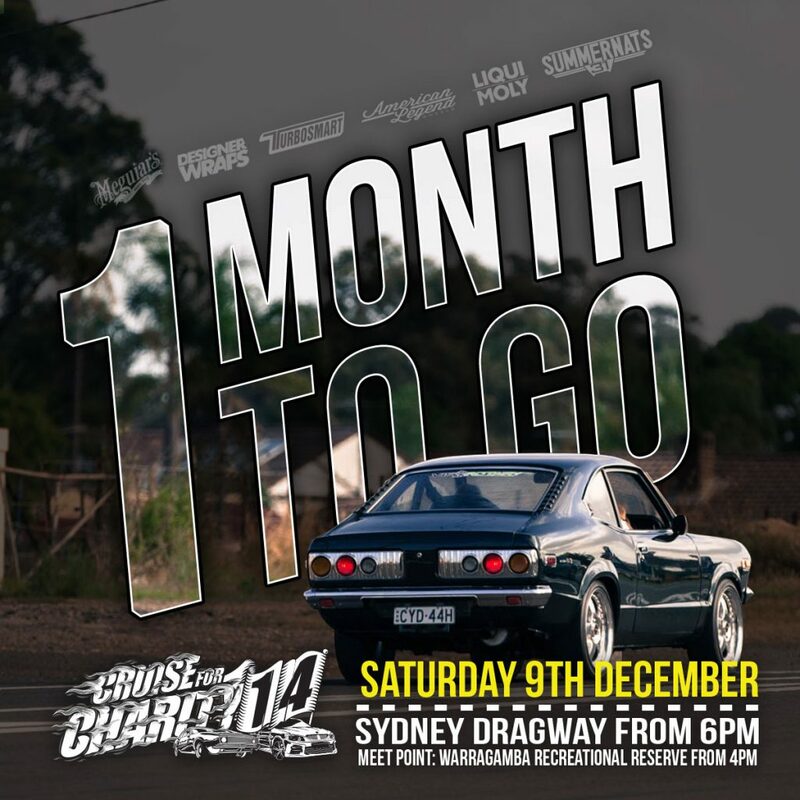 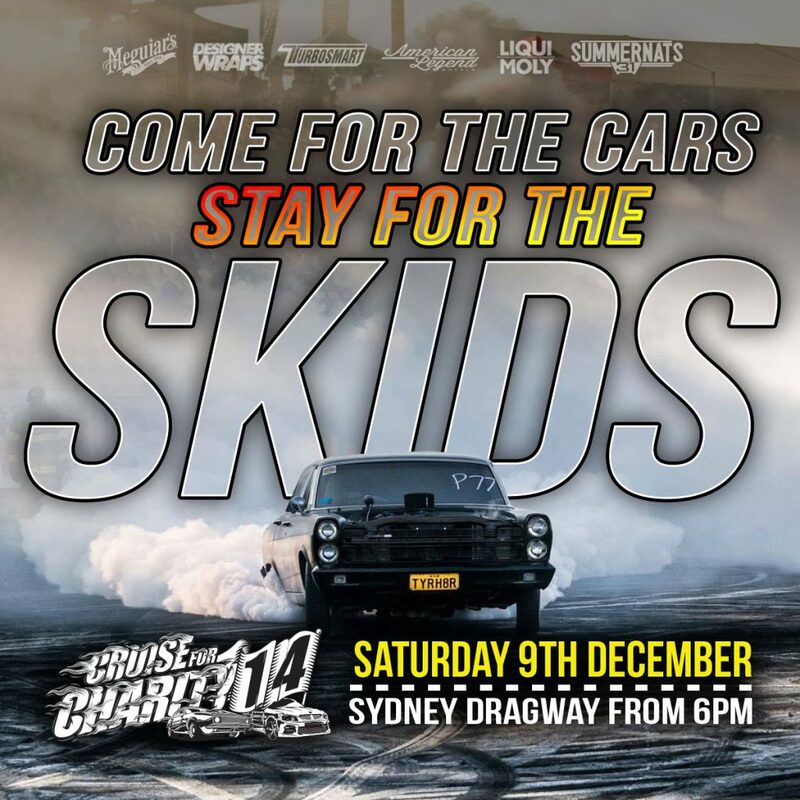 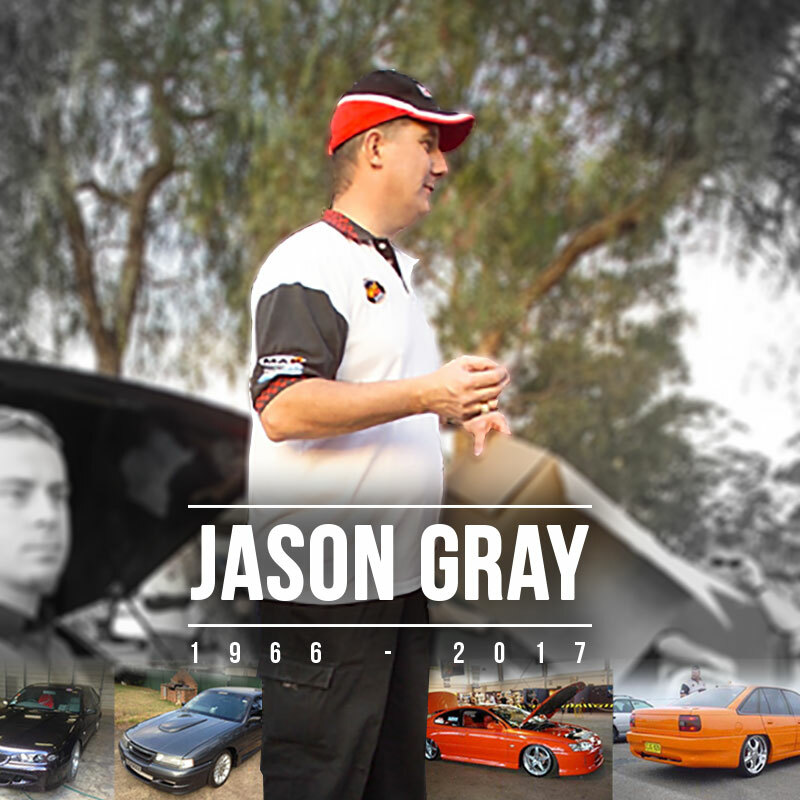 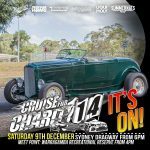 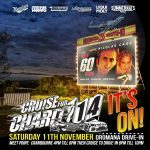 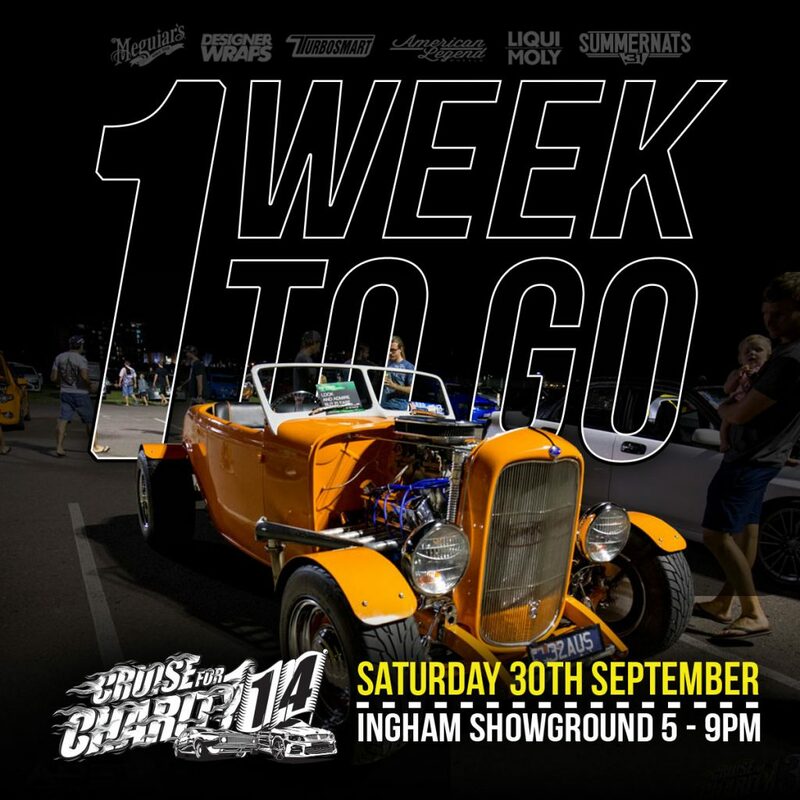 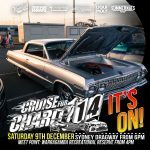 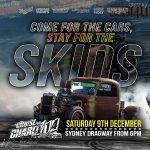 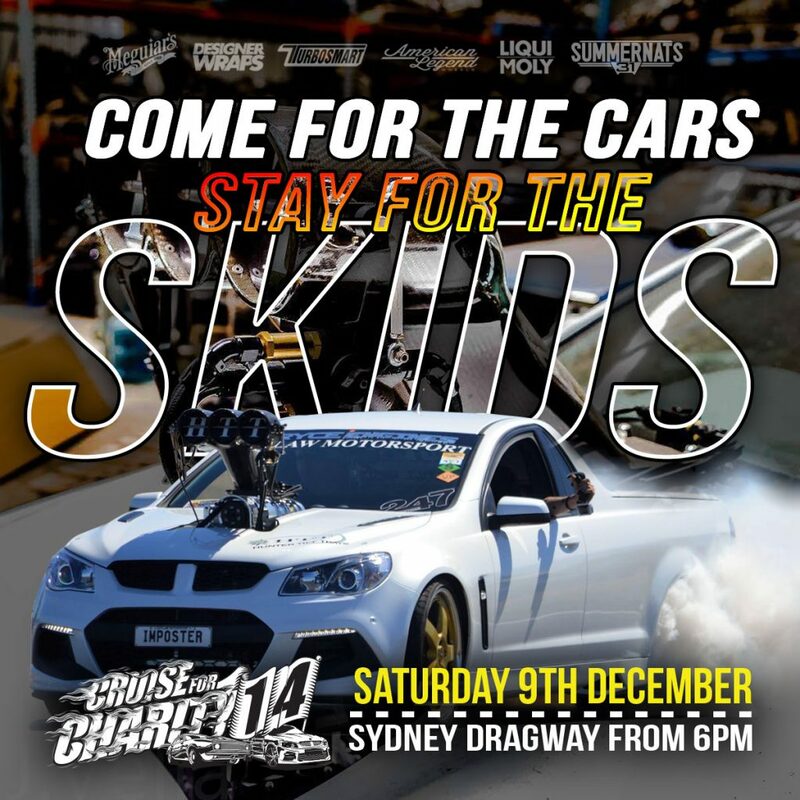 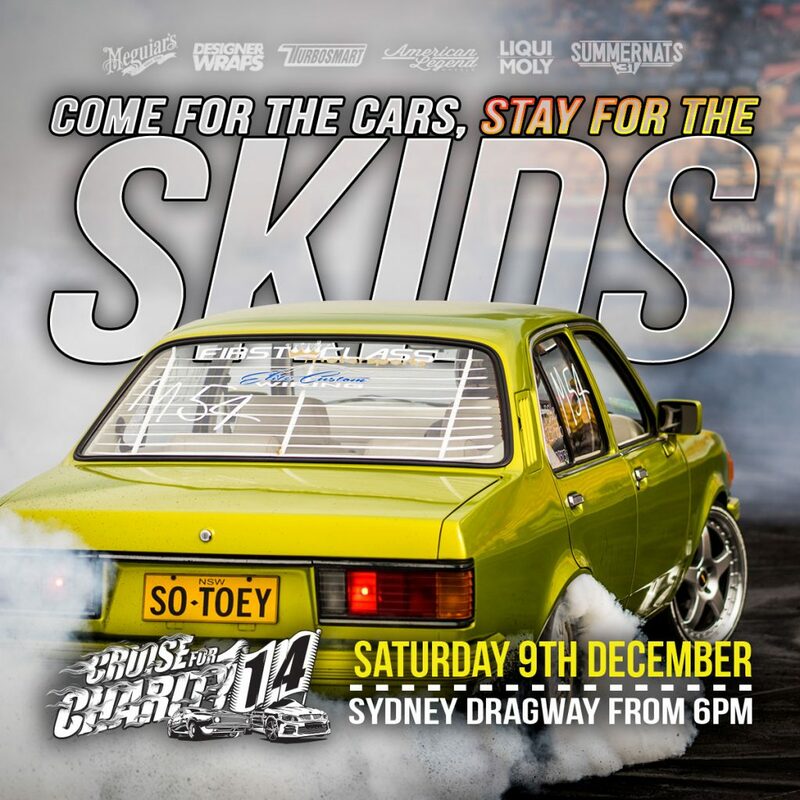 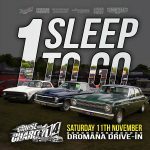 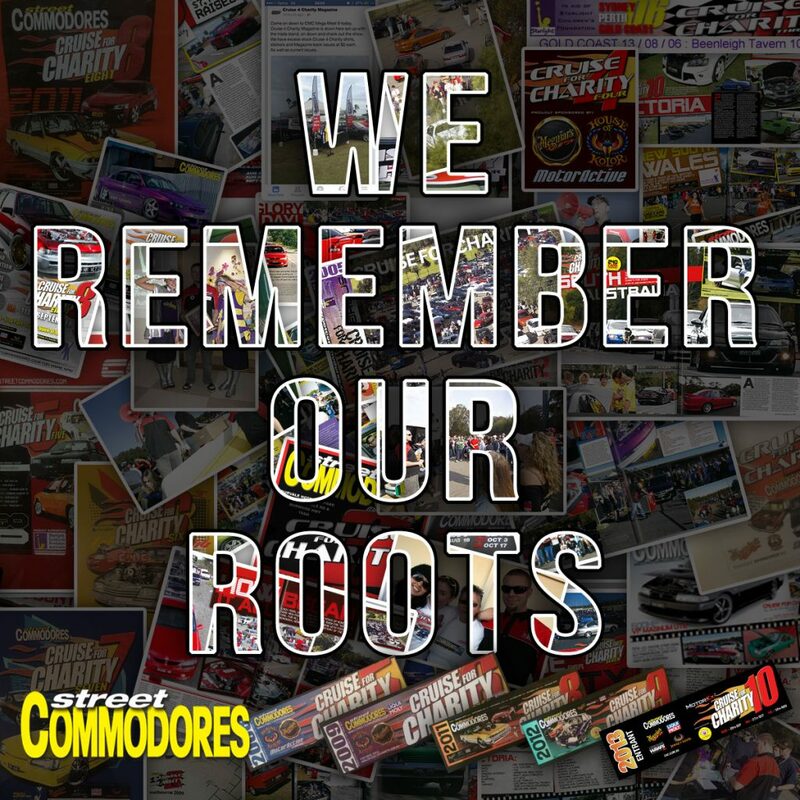 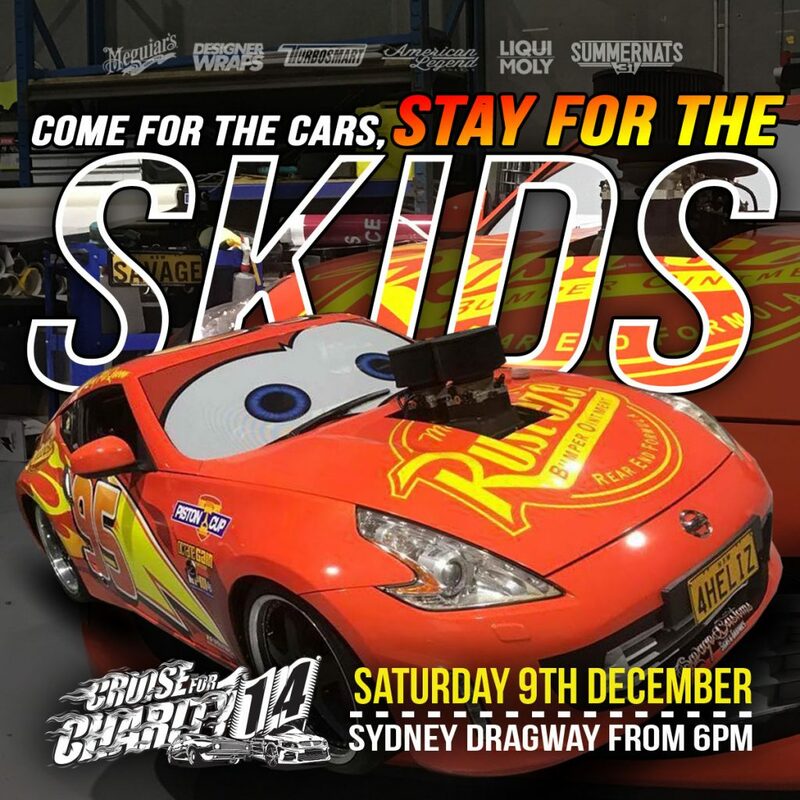 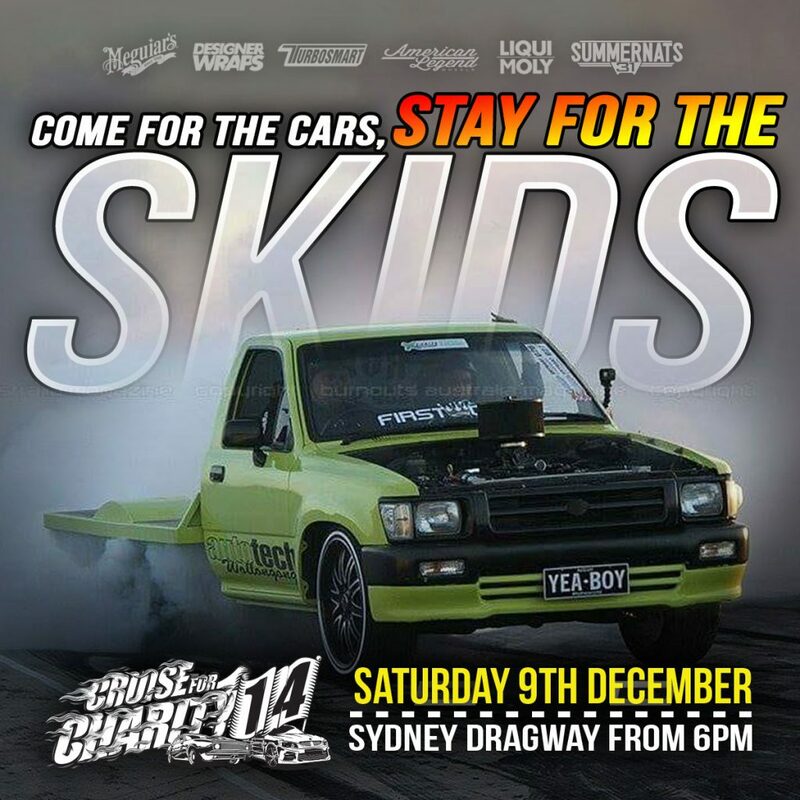 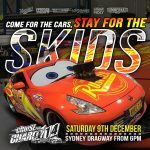 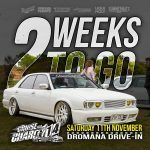 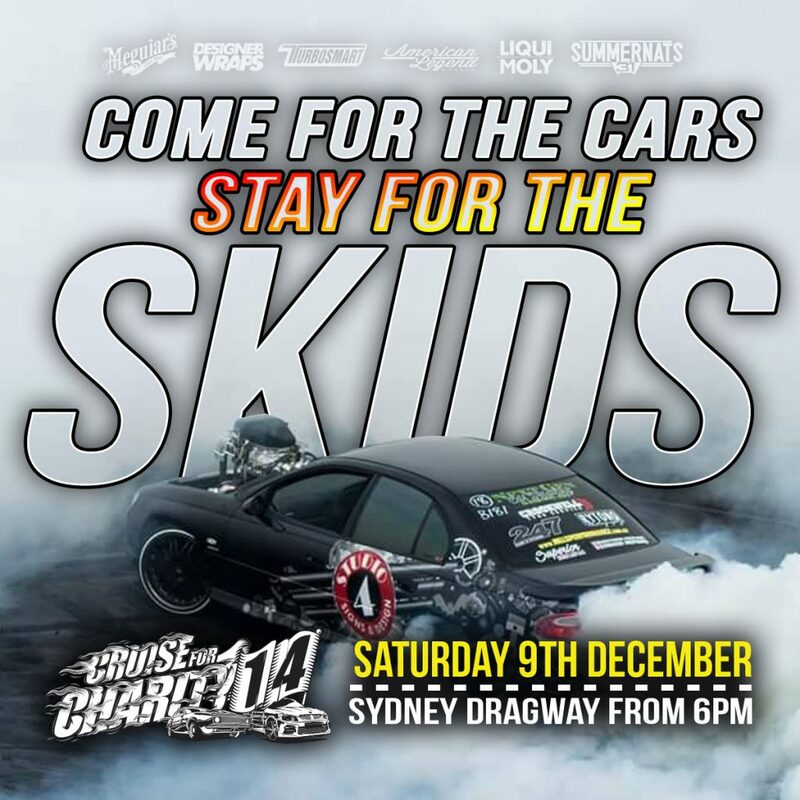 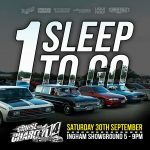 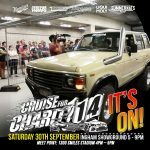 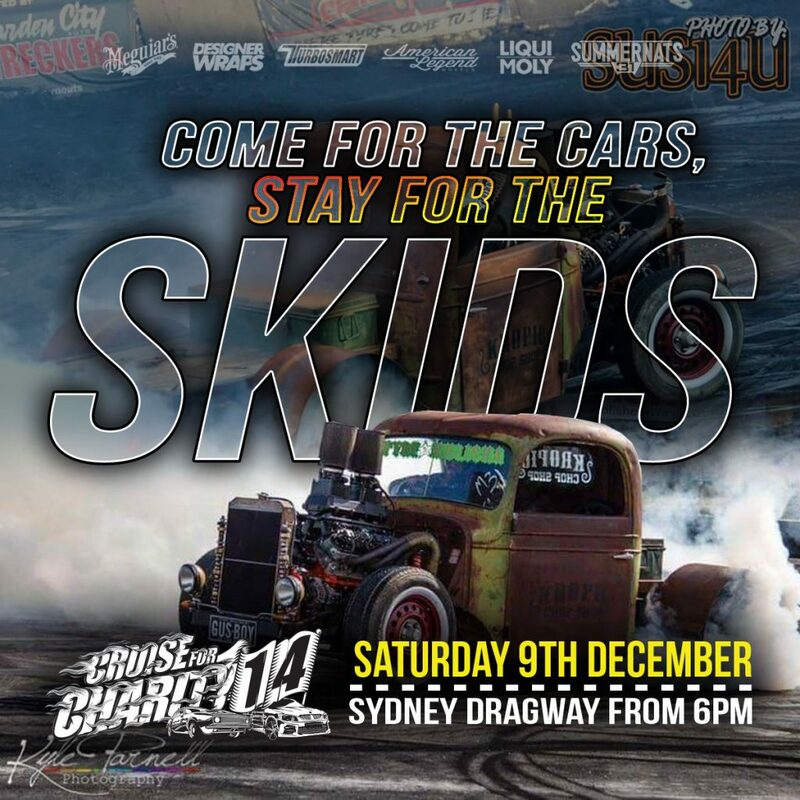 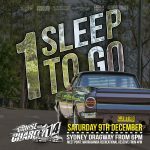 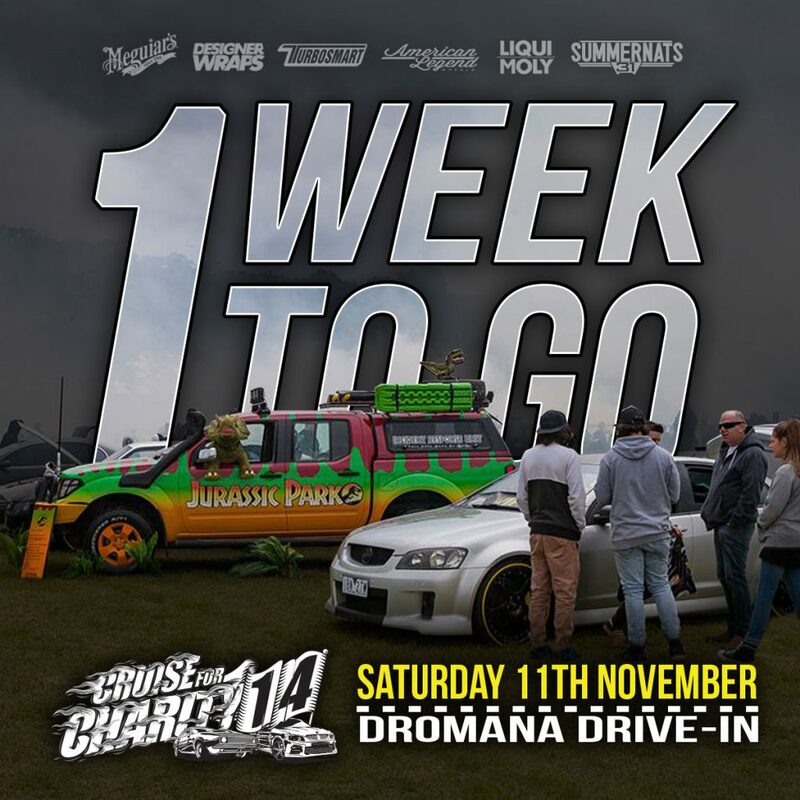 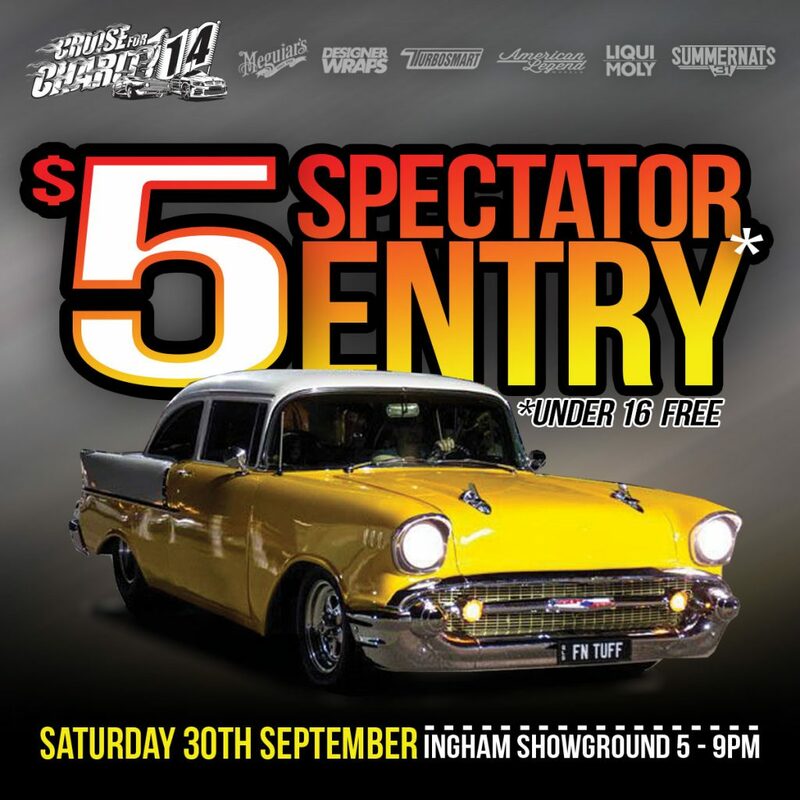 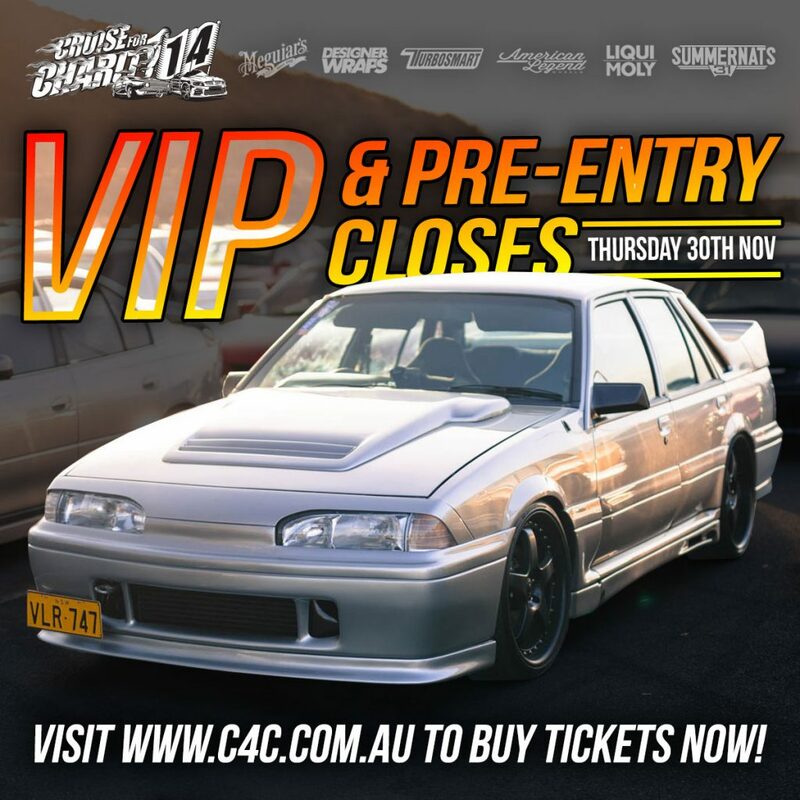 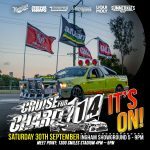 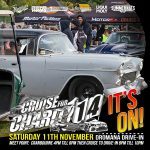 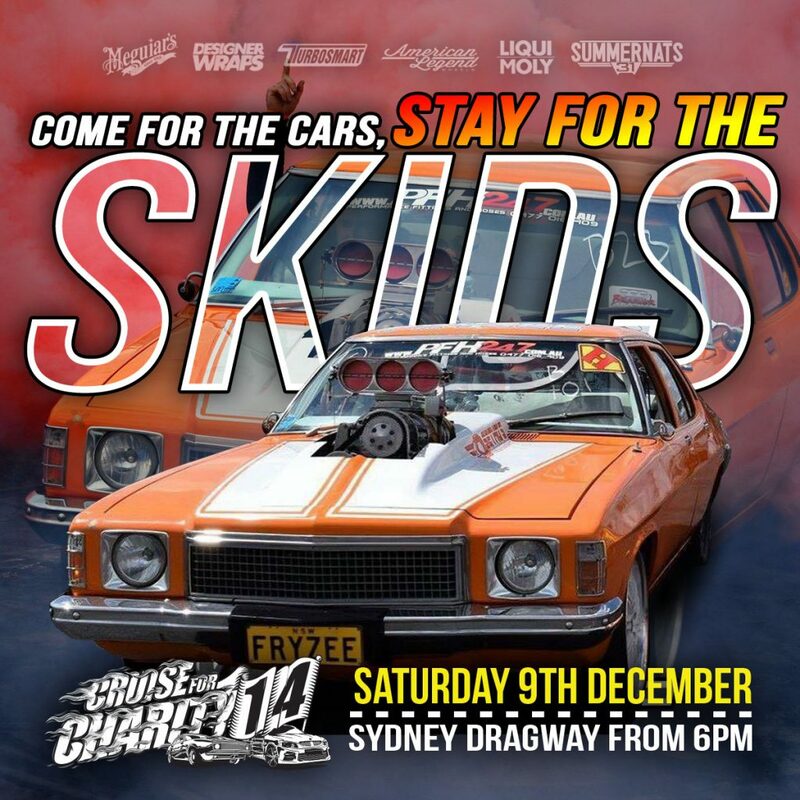 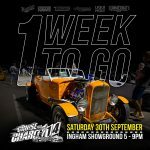 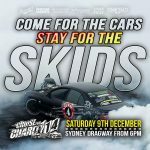 The event is extremely dear to my heart as I’ve been involved with the event since Cruise for Charity 6 from memory when it was run by the team at Street Commodores who founded the event under Jason Grey. 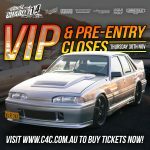 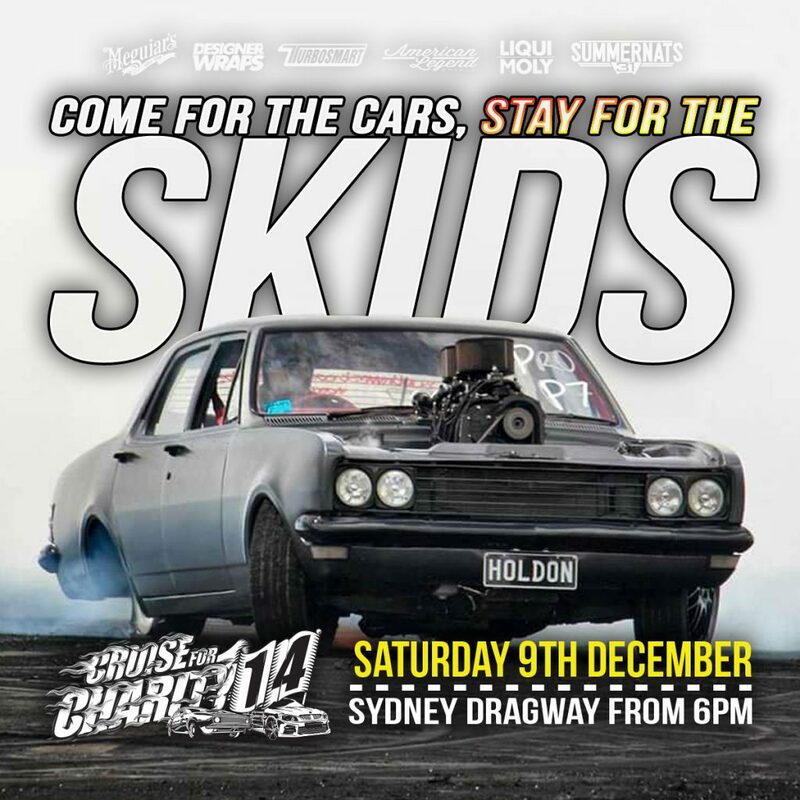 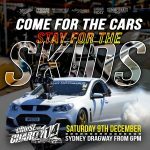 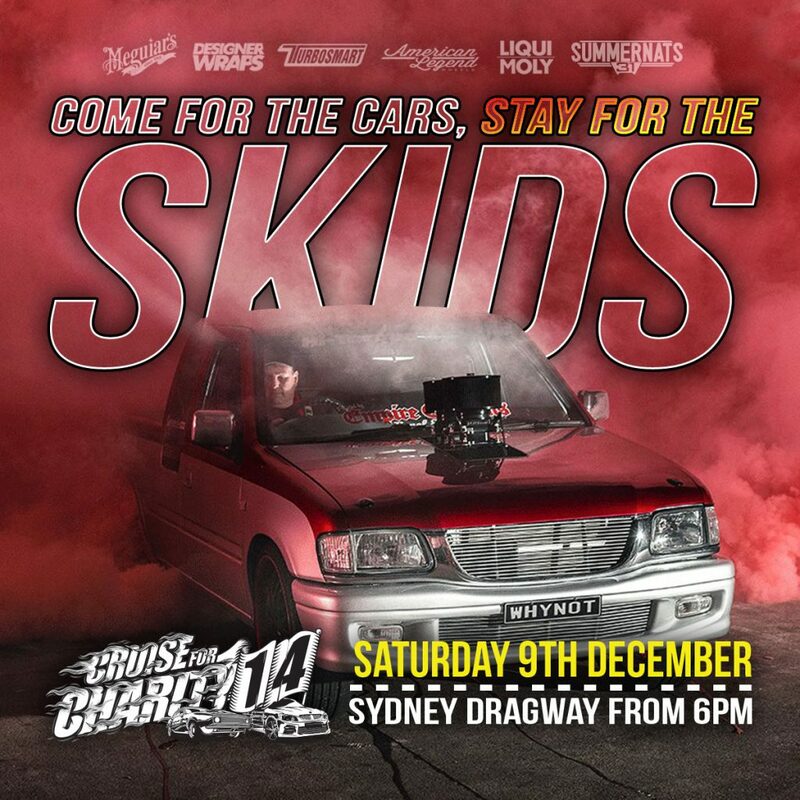 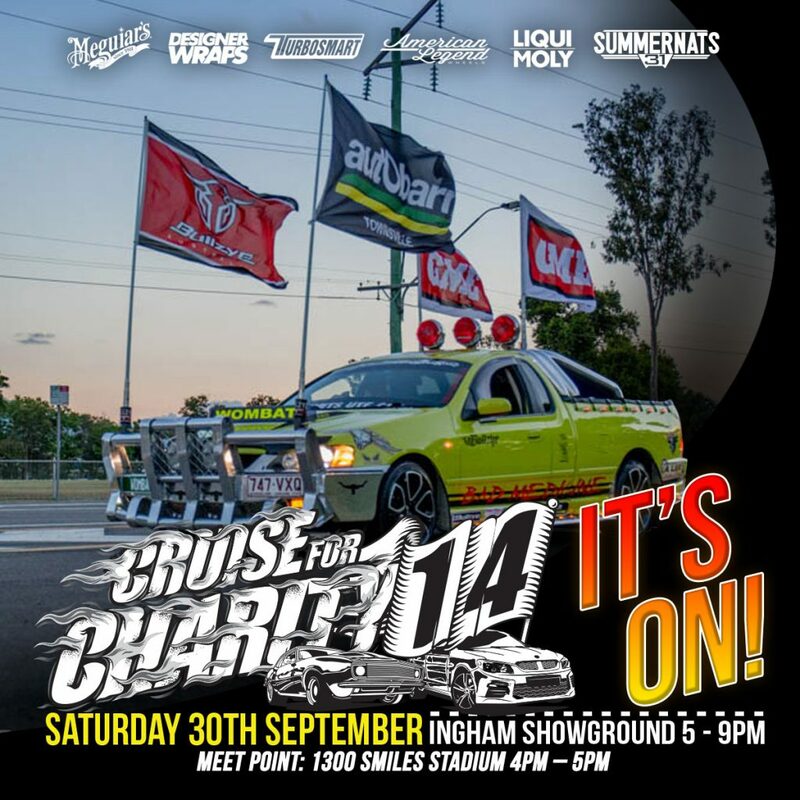 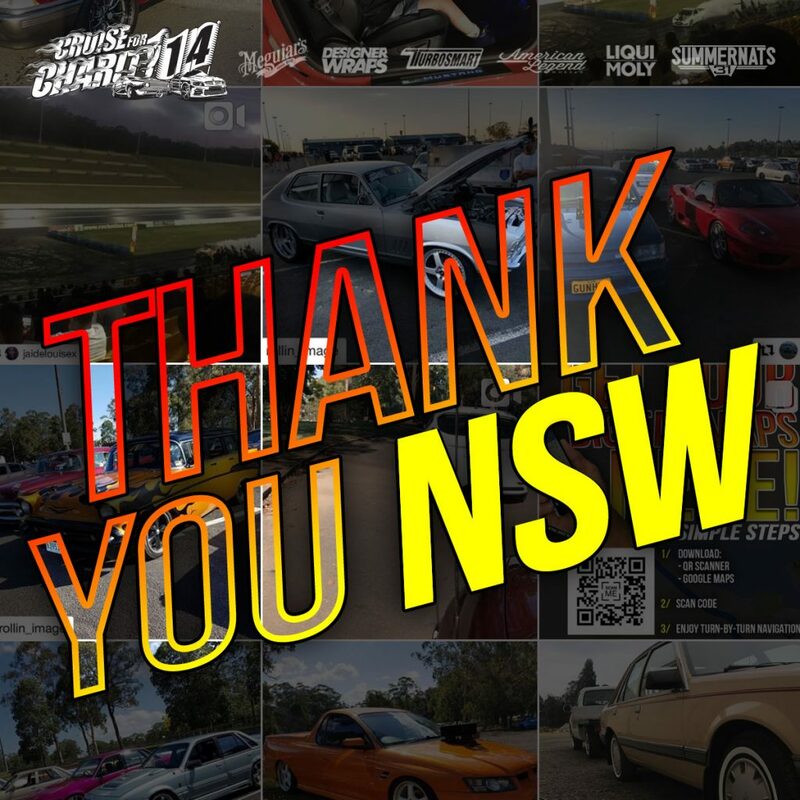 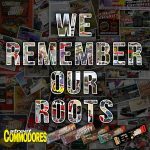 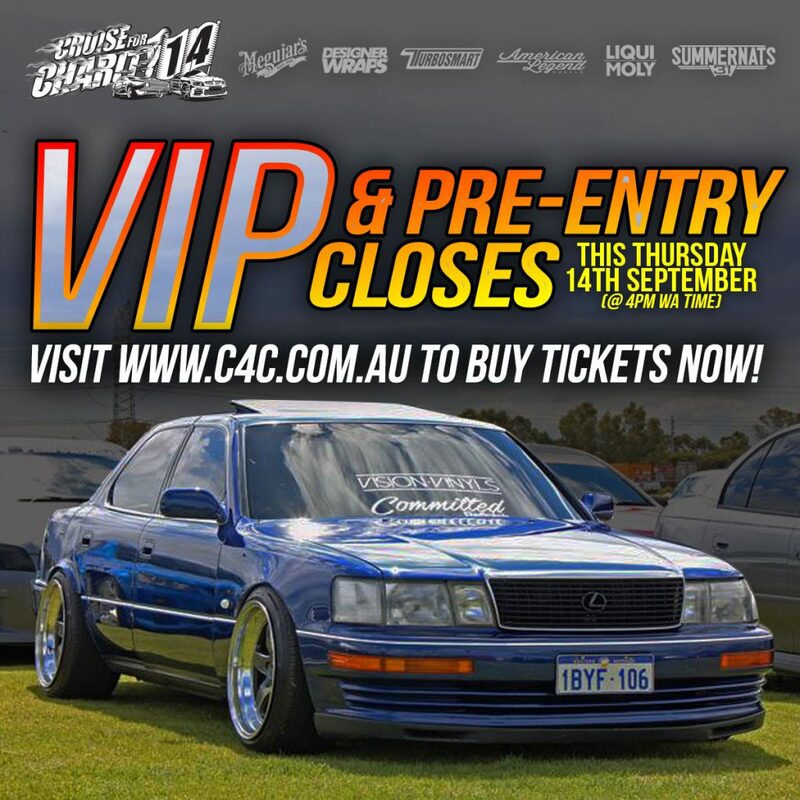 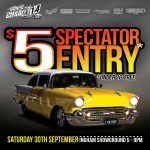 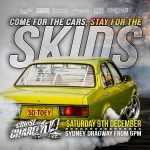 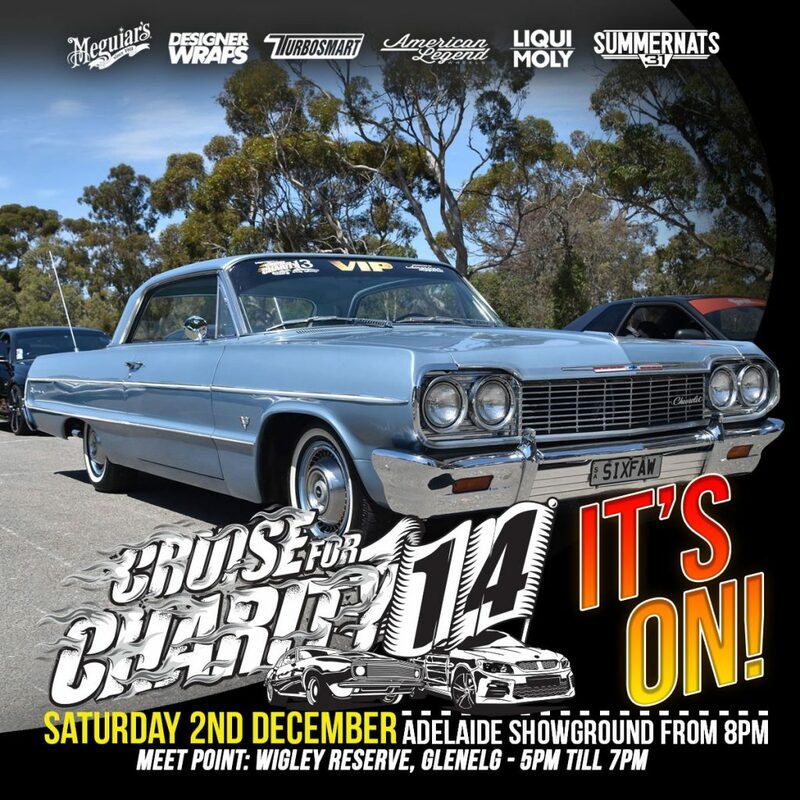 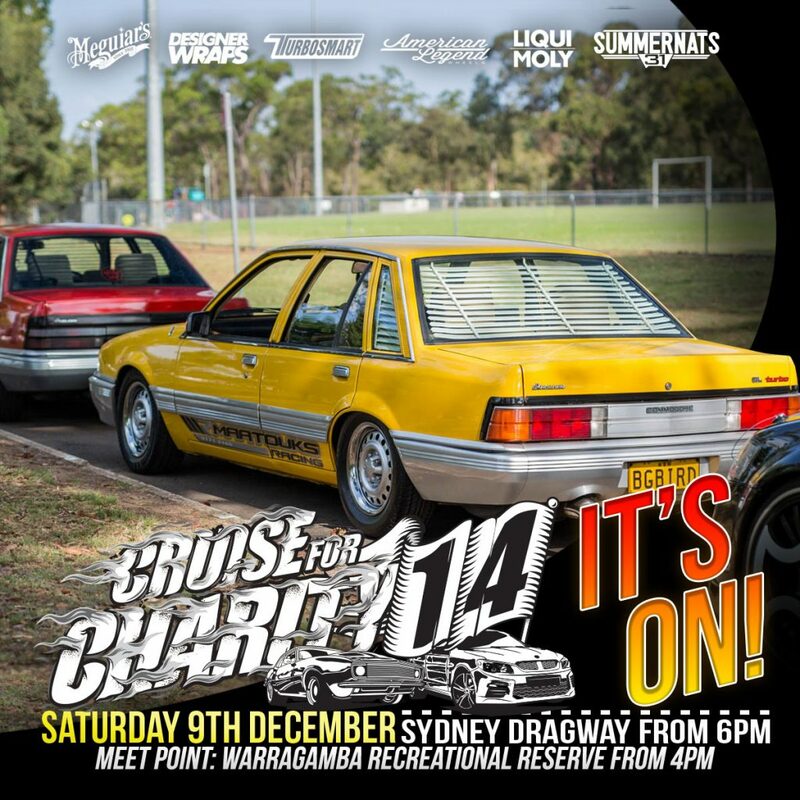 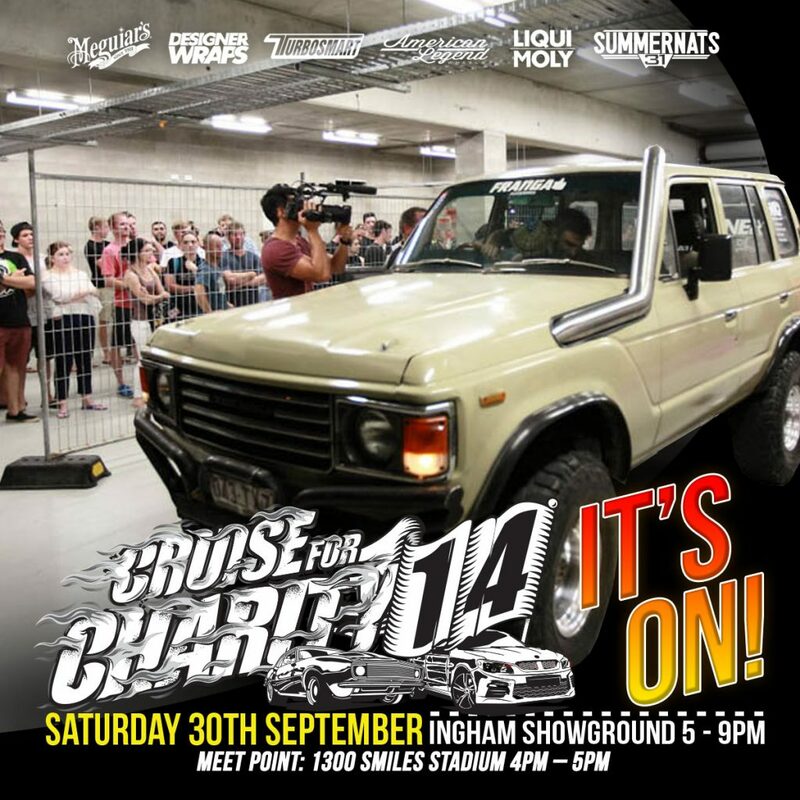 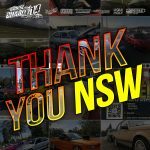 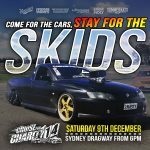 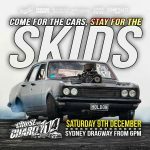 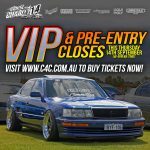 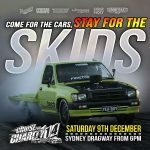 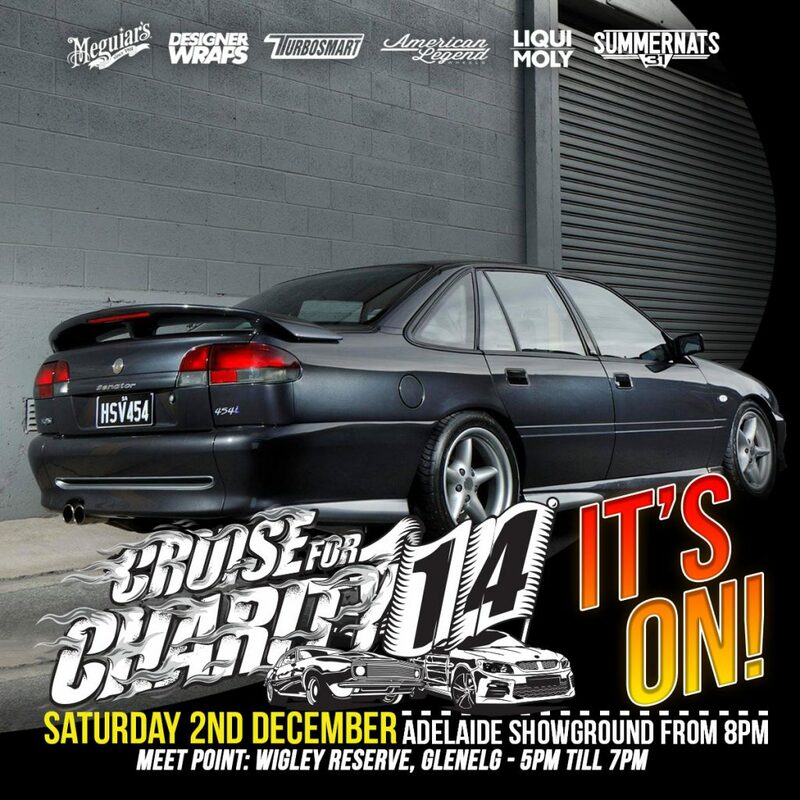 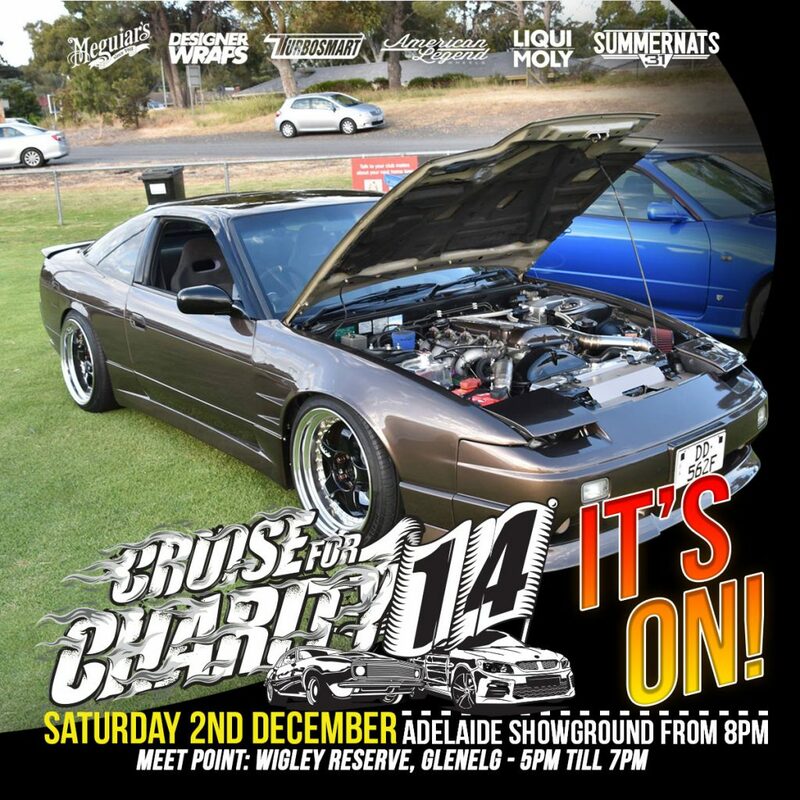 As a reader of the Street Commodore Magazine & avid user of their forum (RIP) I offered to volunteer at the event doing general shitkicker jobs cleaning up on the day, helping with the parking & giving out show bags…… Anyways I’m getting off topic! 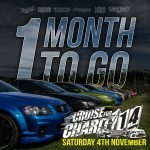 Basically I’ve designed for the event in some way shape or form for 6 of those years & Cruise for Charity 14 I was honoured to be given the opportunity to design flyers, event signage & power the design of the social media campaign aswell taking care of engagment running their Instagram page & interacting with users on the day of the events. 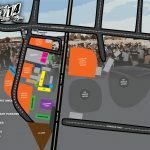 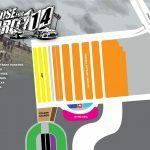 With relation to a design guide/brief we were given basically free reign but we made the decision to follow what had already been built with the logo,shirts & VIP stickers. 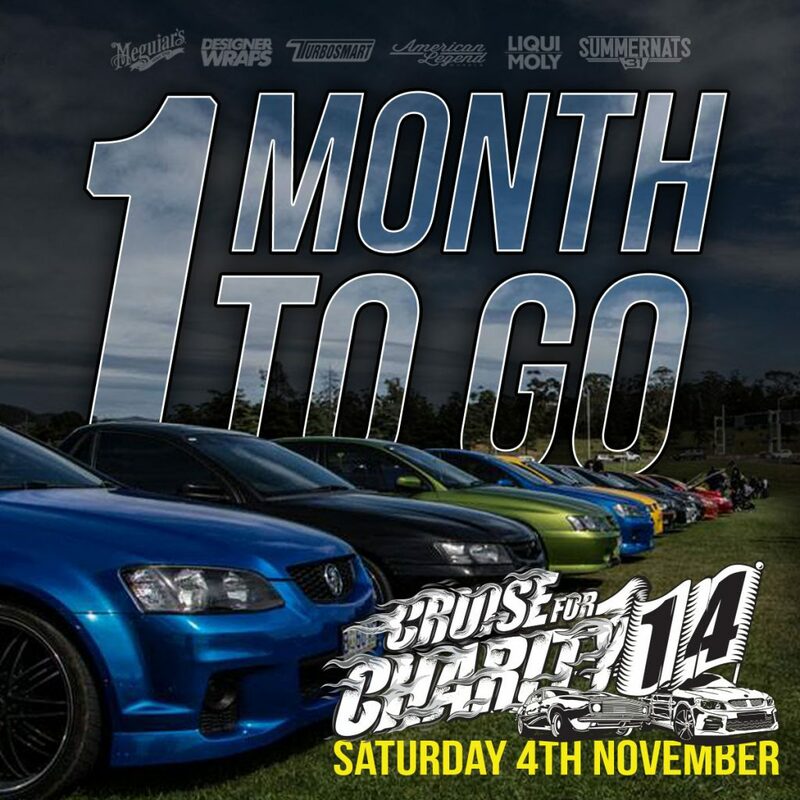 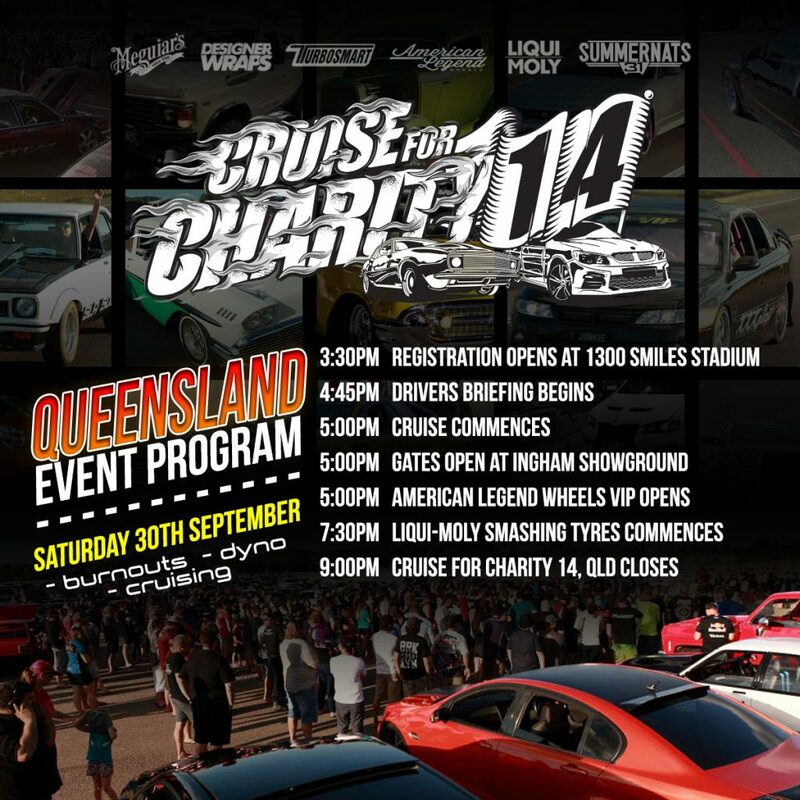 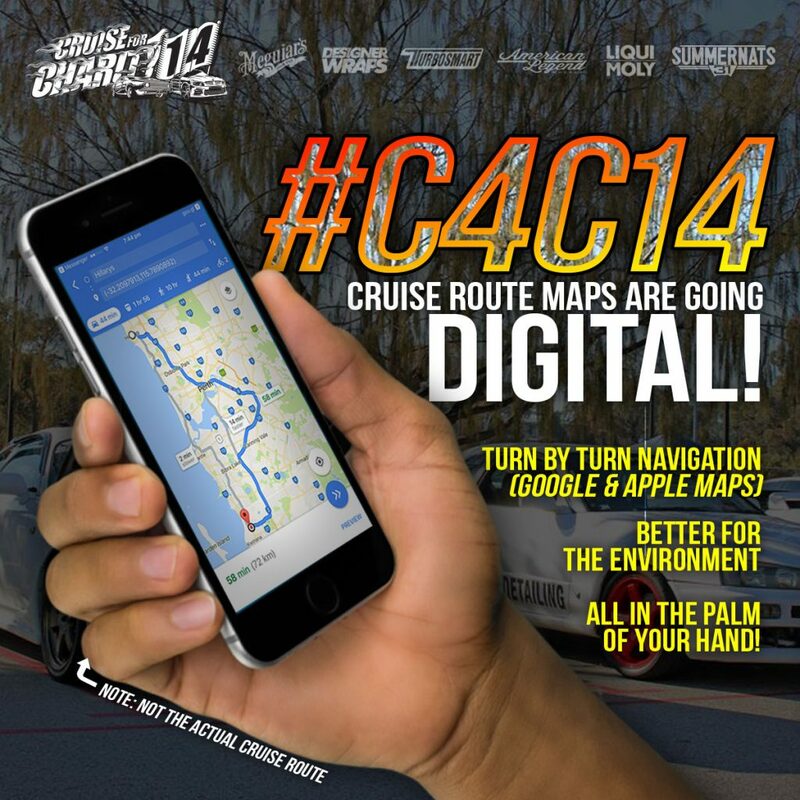 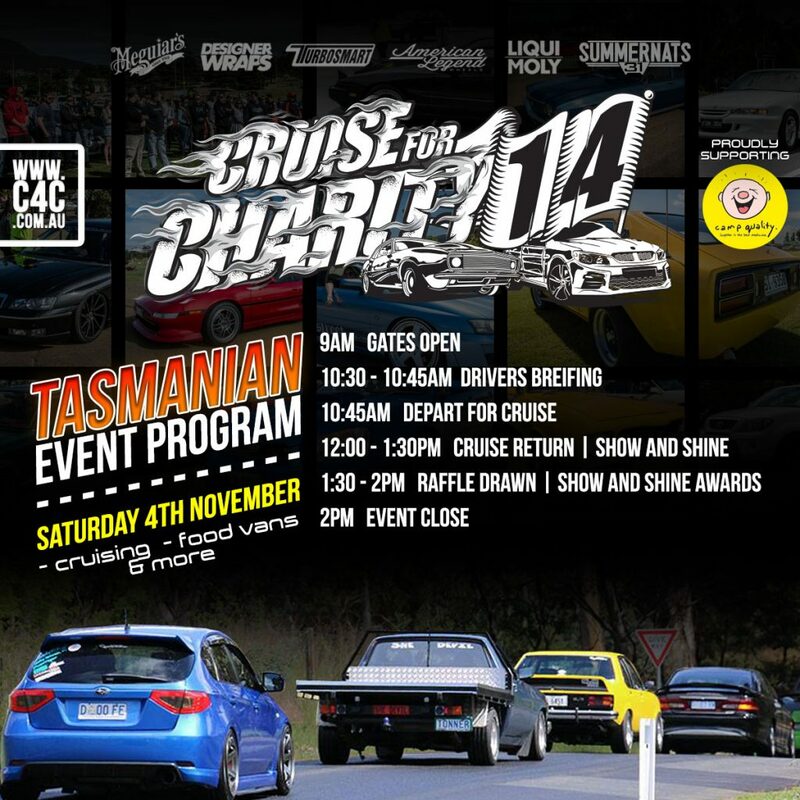 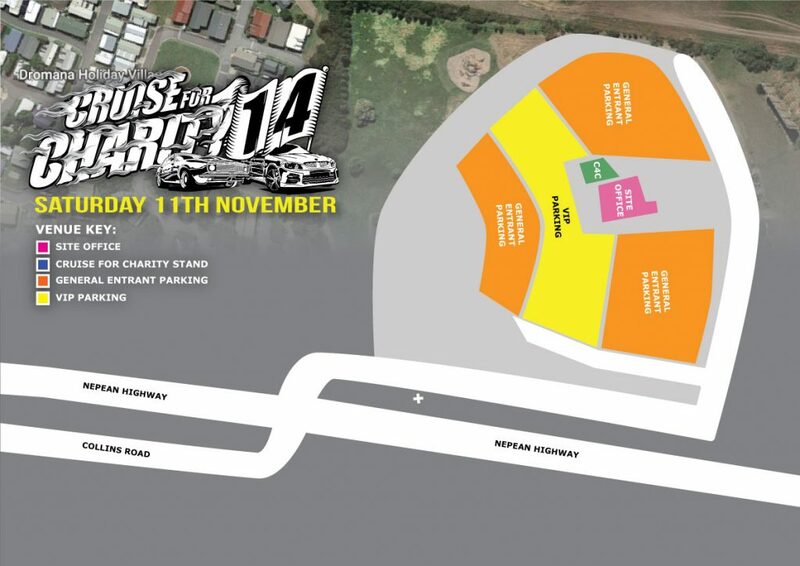 I’m genuinely proud of what we achieved & hope to have another crack at it hopefully for Cruise for Charity 15? 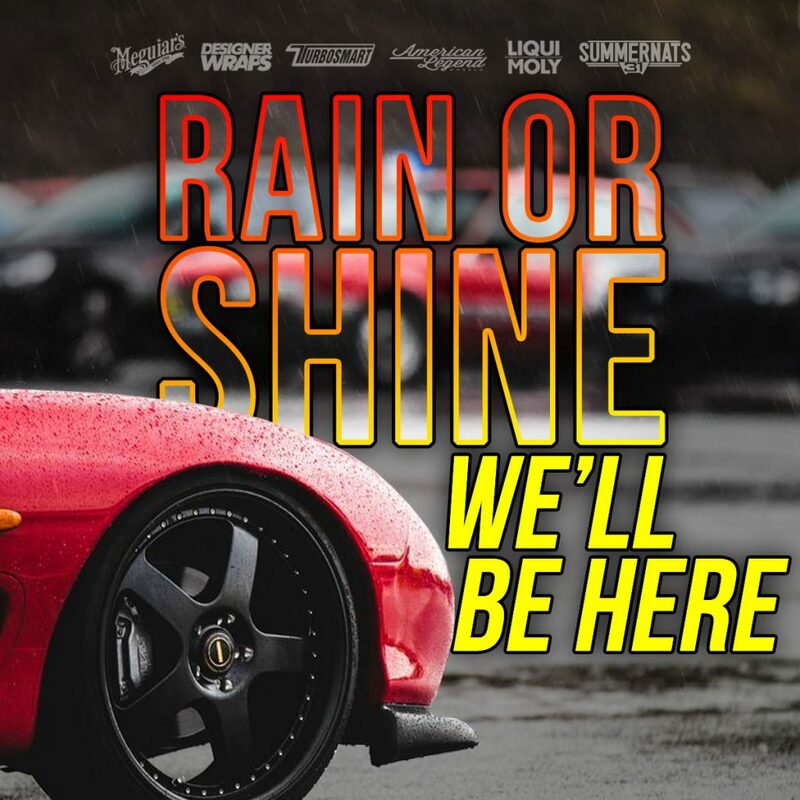 Only time will tell. 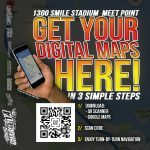 Need help your branding? 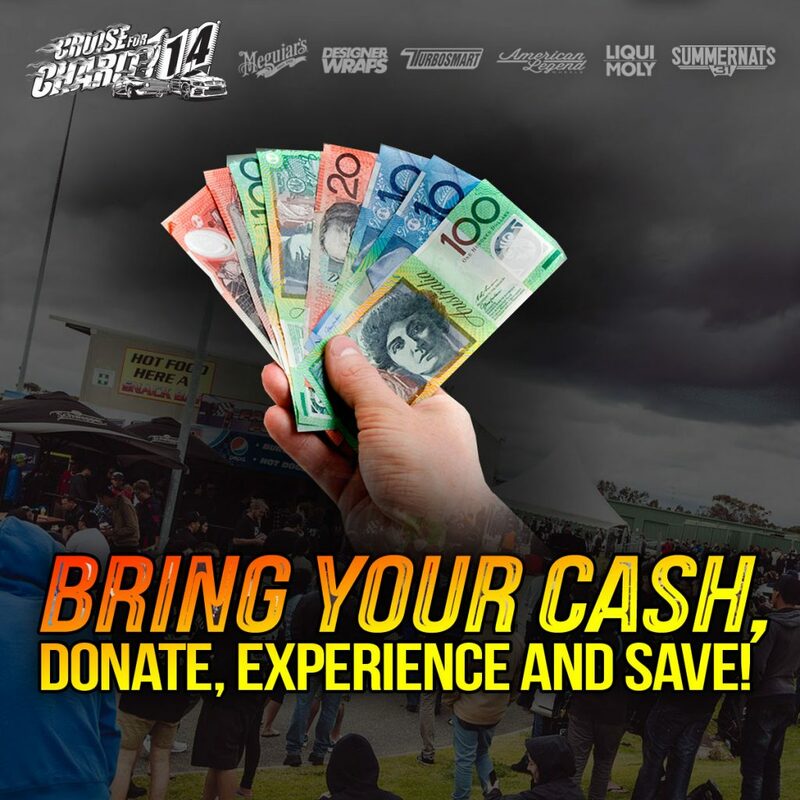 Talk to us about how we might be able to help you! 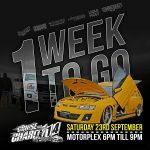 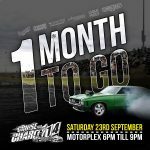 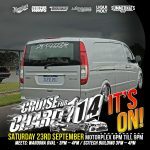 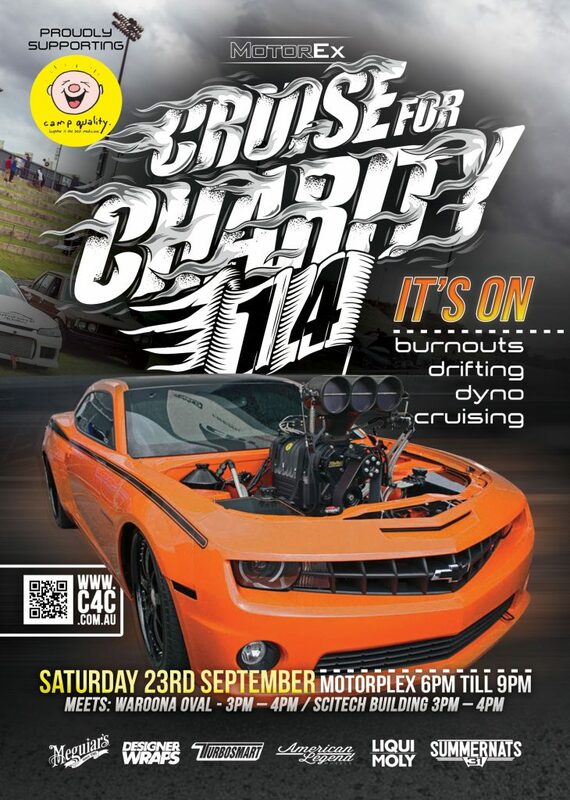 MotorEx Cruise for Charity is a national charity campaign, co-ordinated by MotorActive. 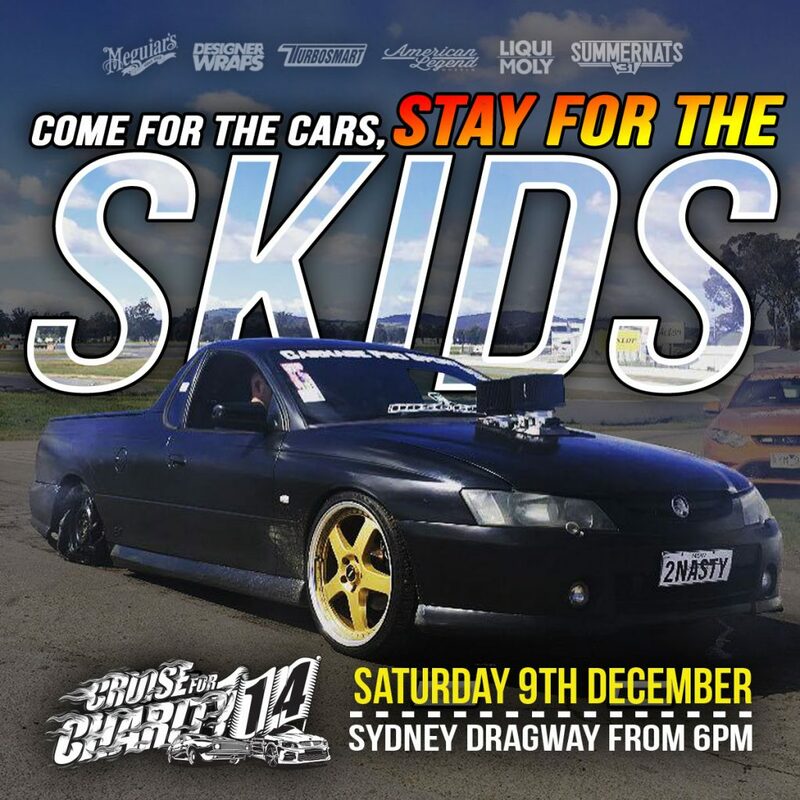 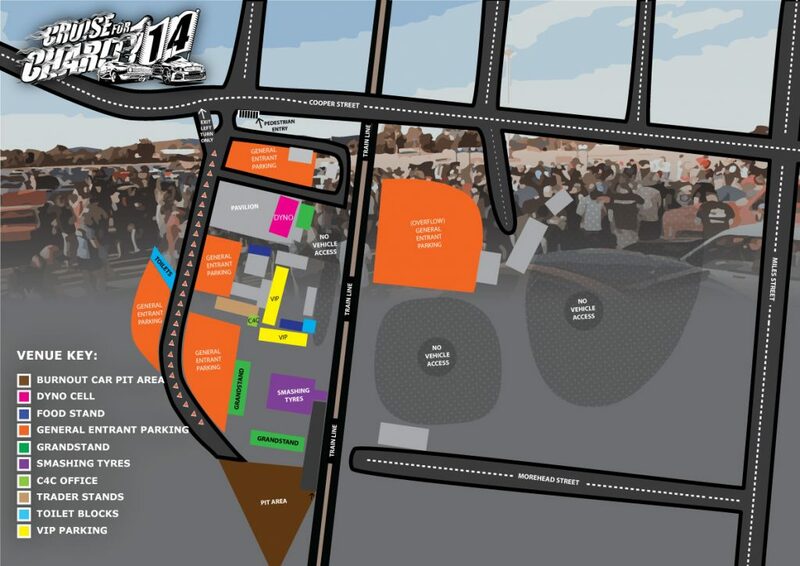 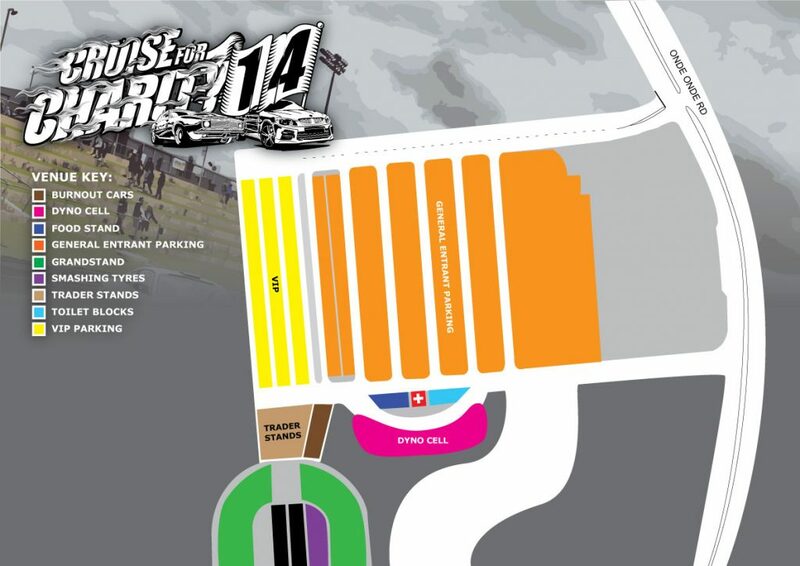 The event was birthed as way of bringing together modified car owners and over time has spread around the country. 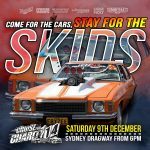 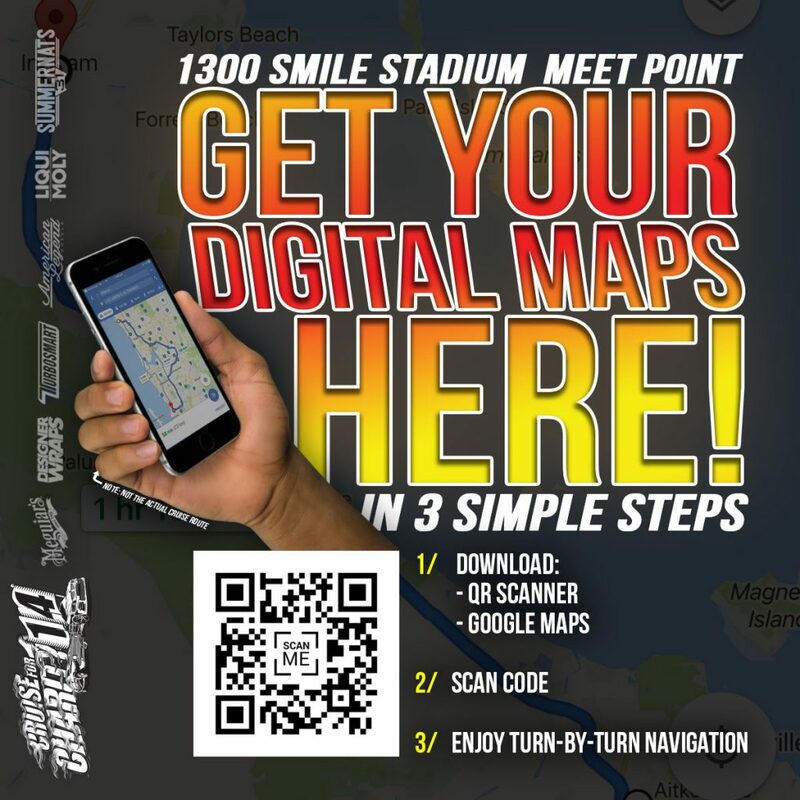 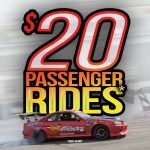 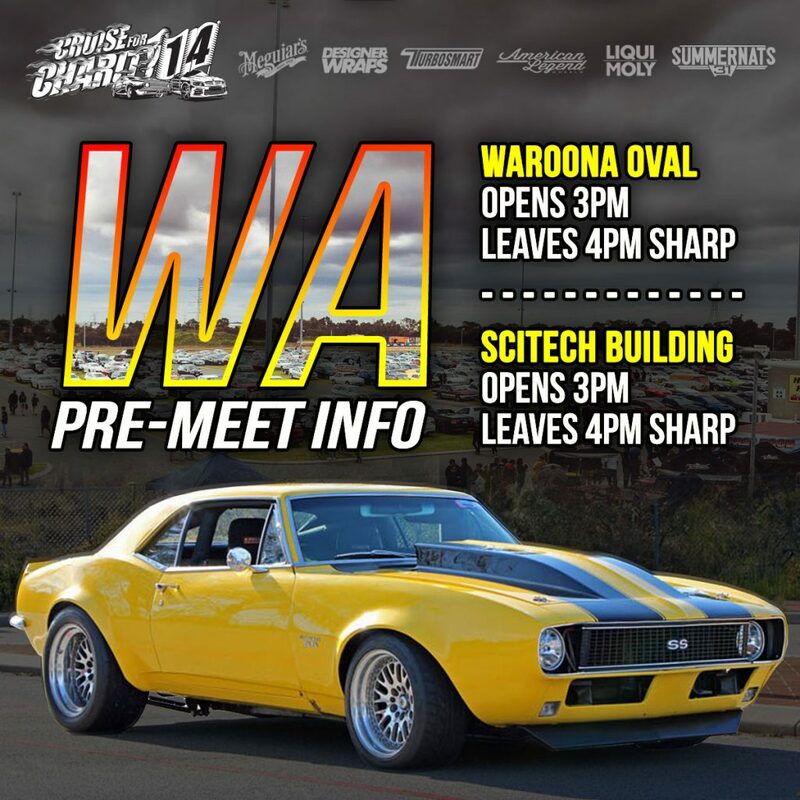 The event no longer unifies modified car owners on a local scale but on a national one, with over 4,000 participants in 2016. 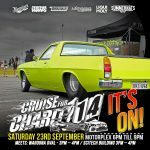 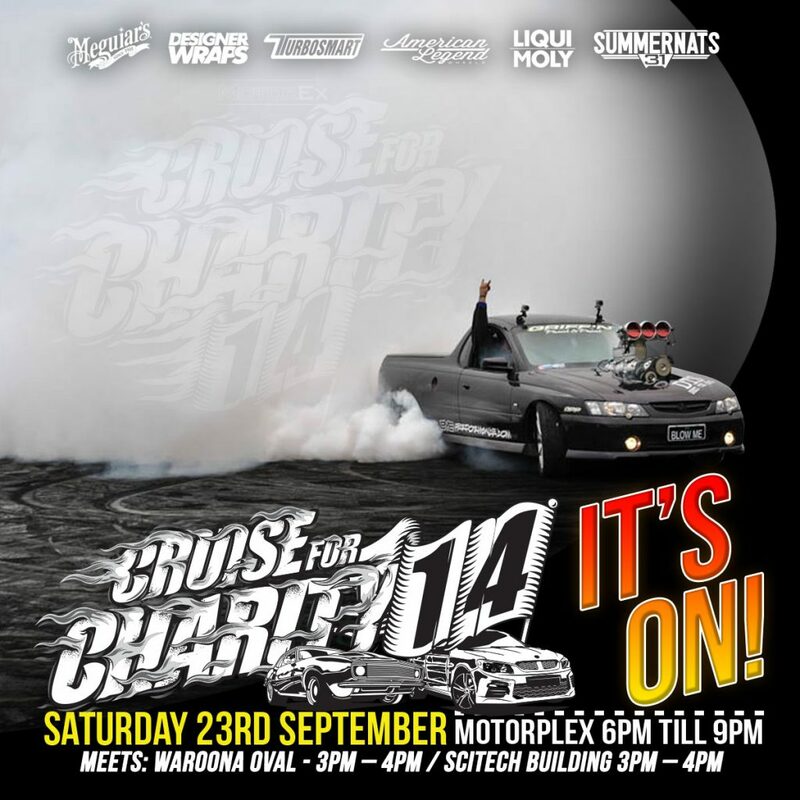 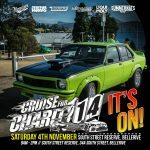 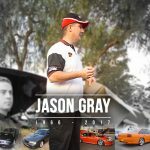 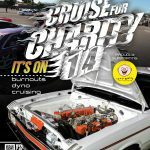 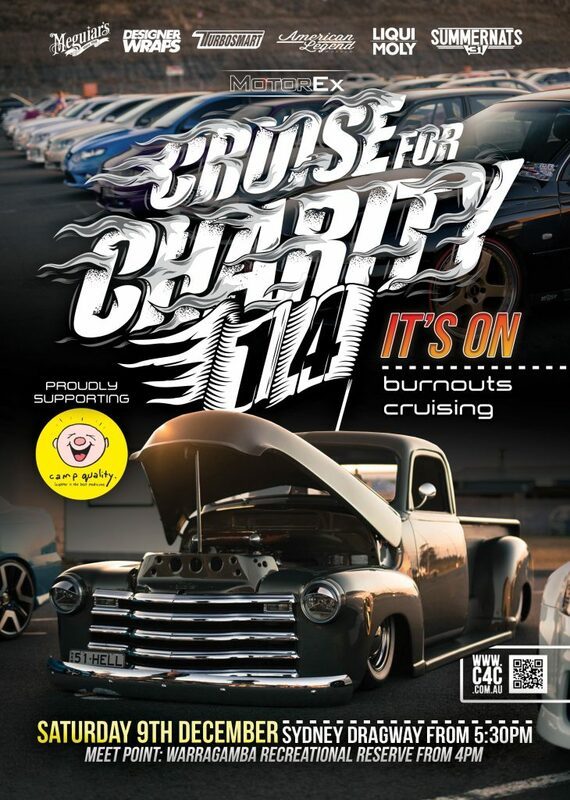 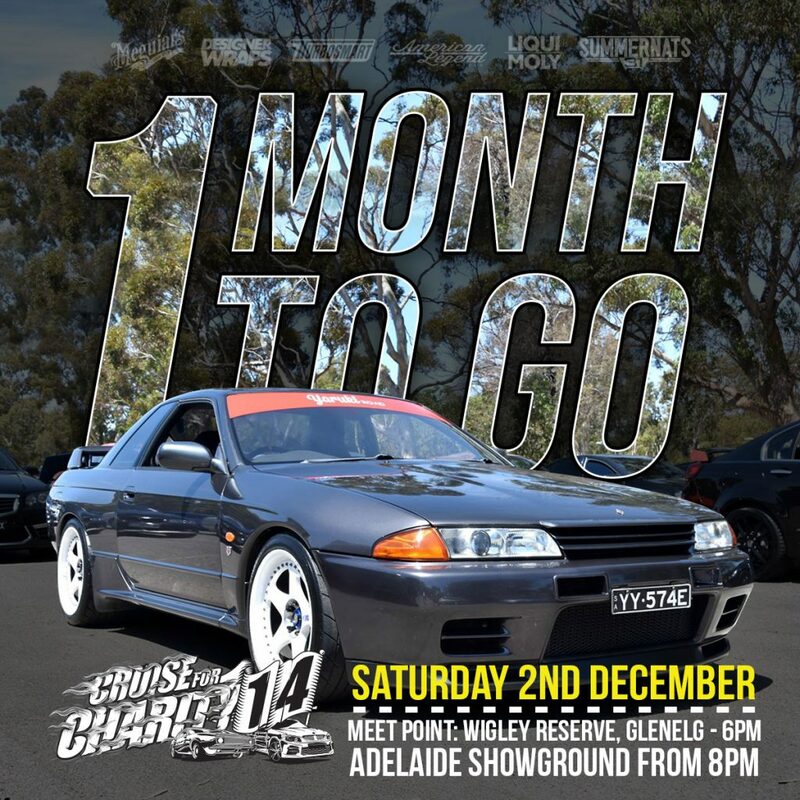 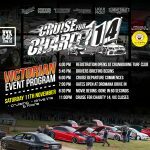 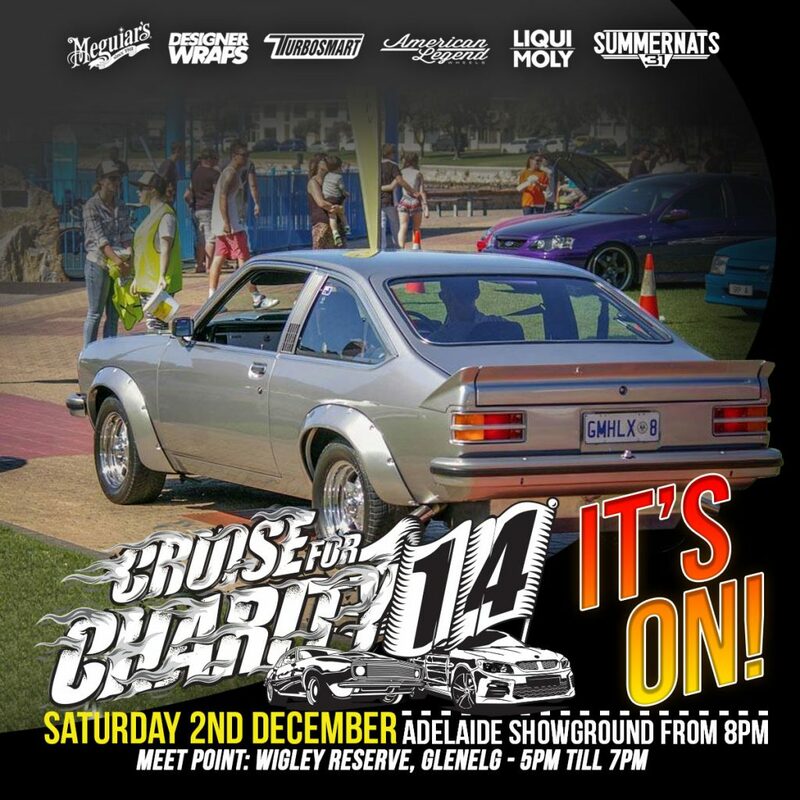 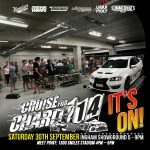 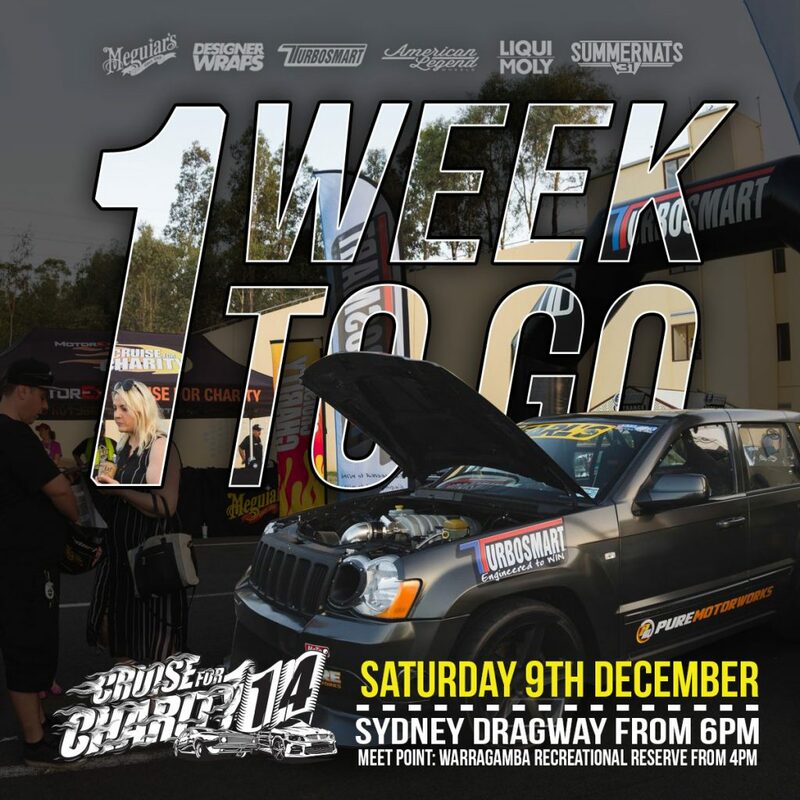 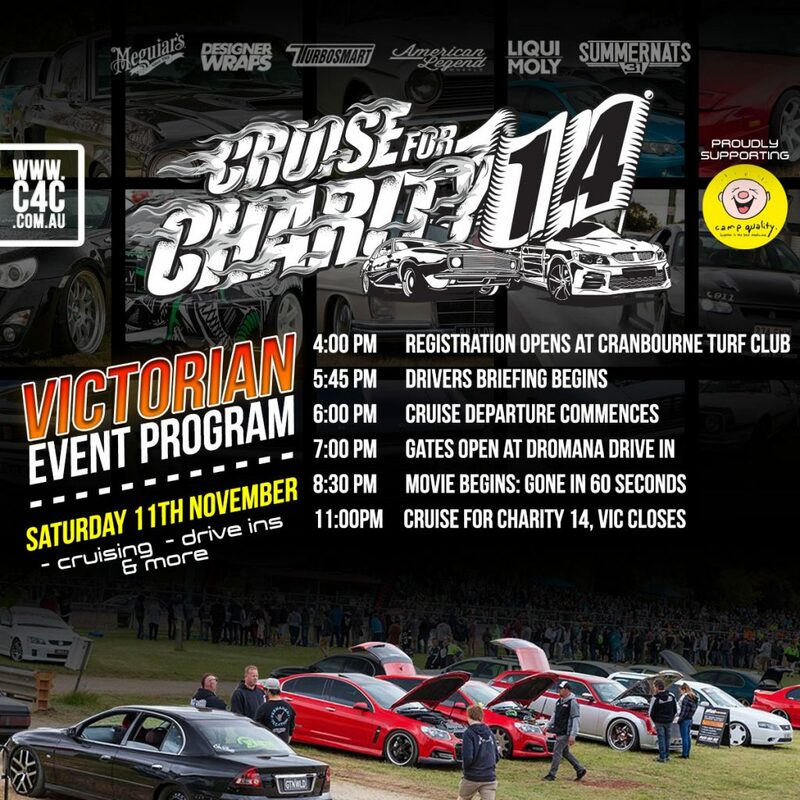 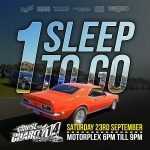 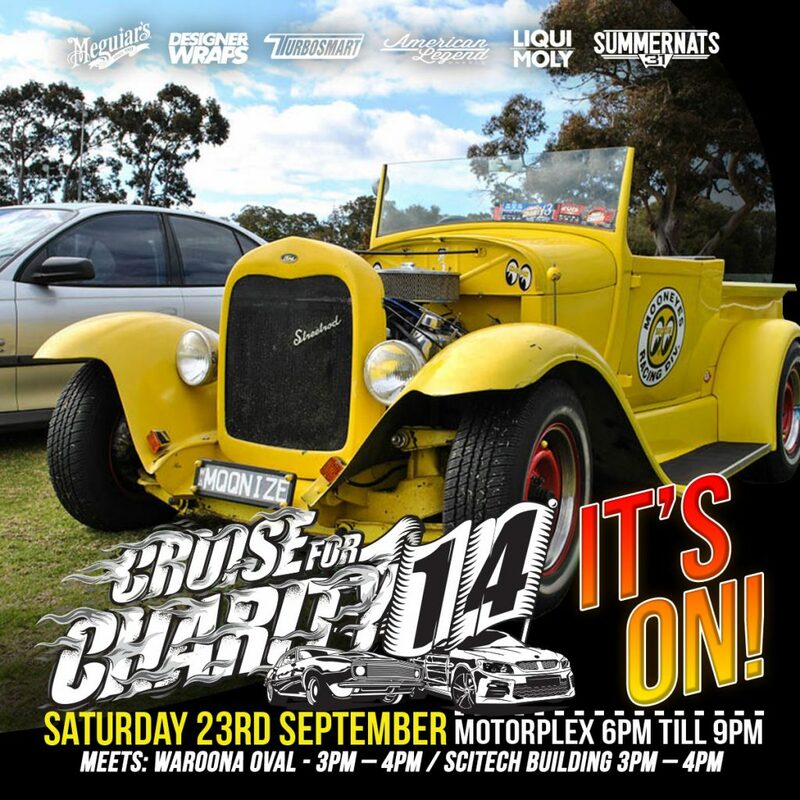 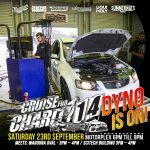 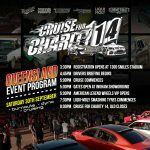 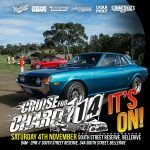 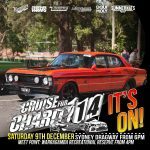 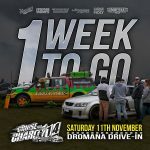 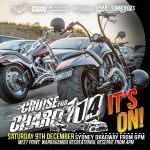 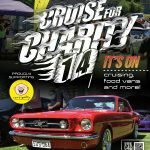 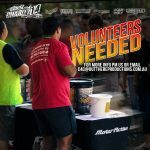 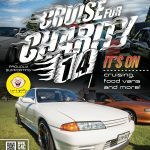 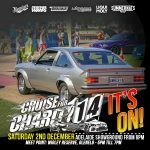 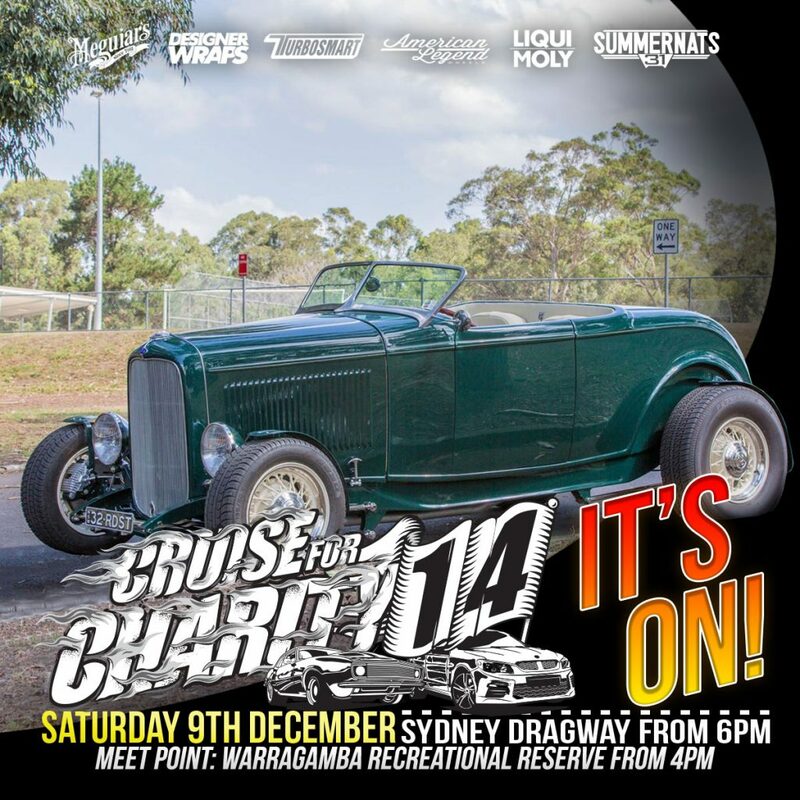 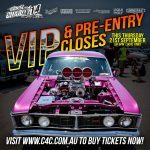 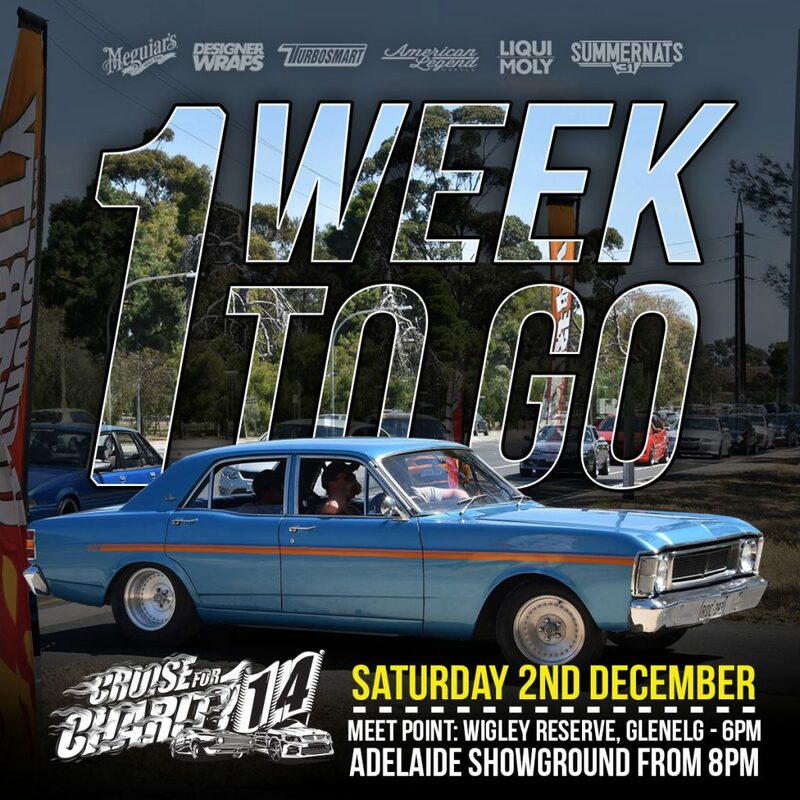 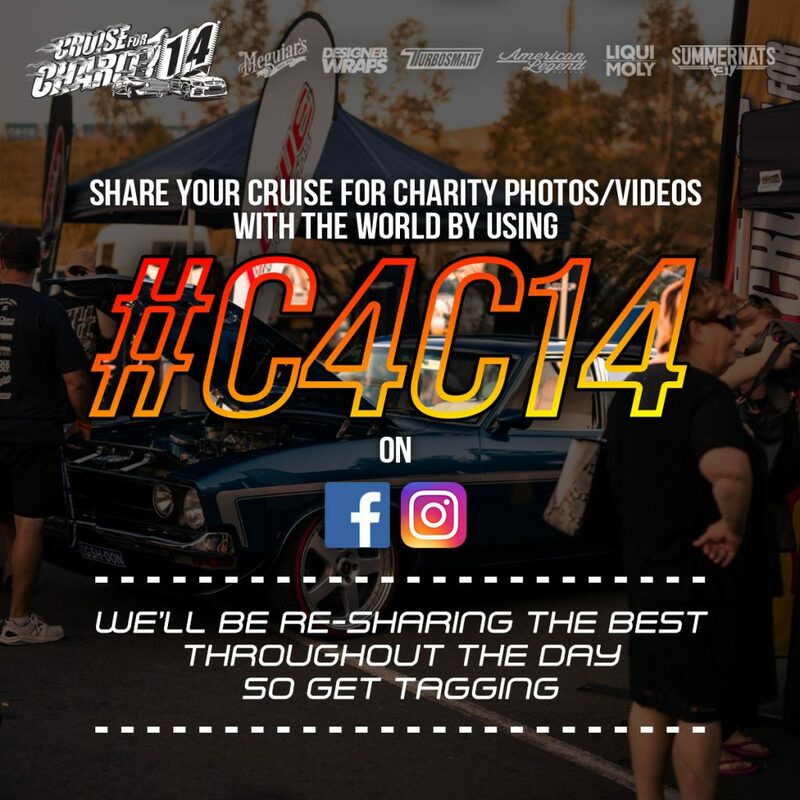 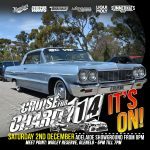 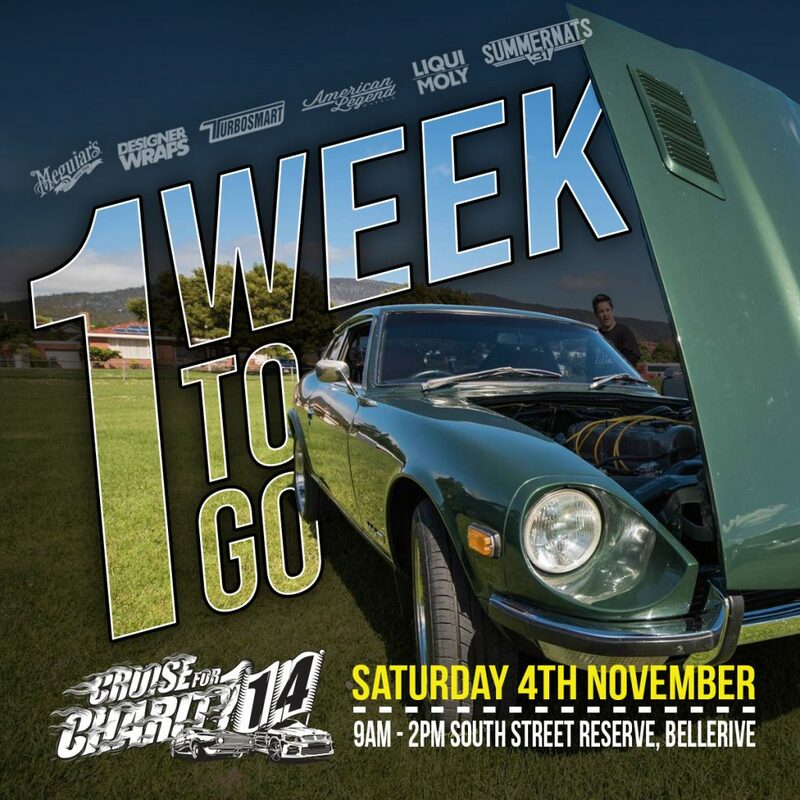 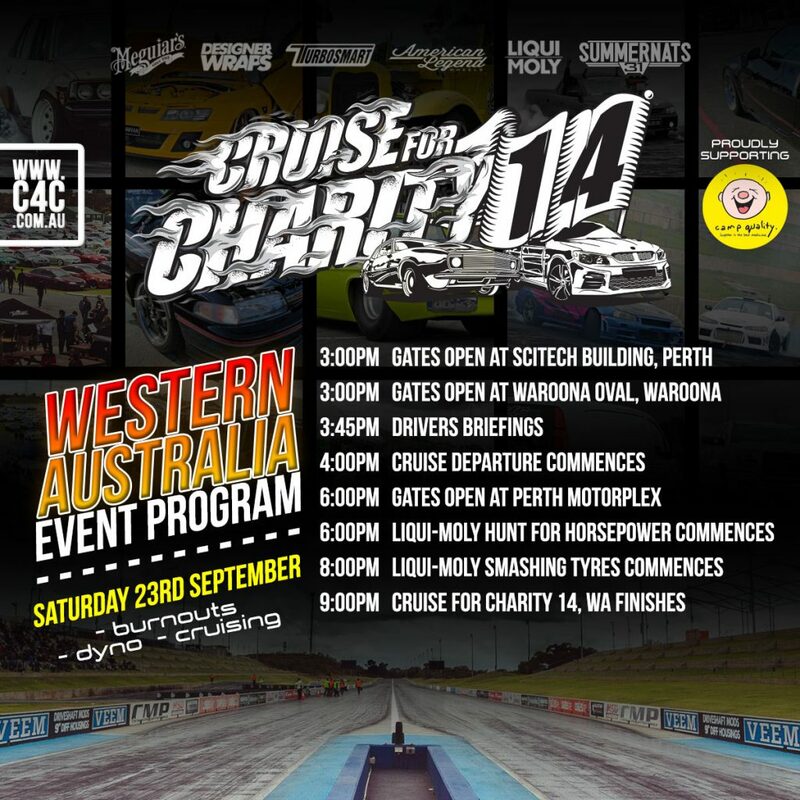 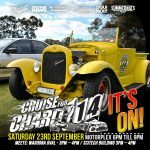 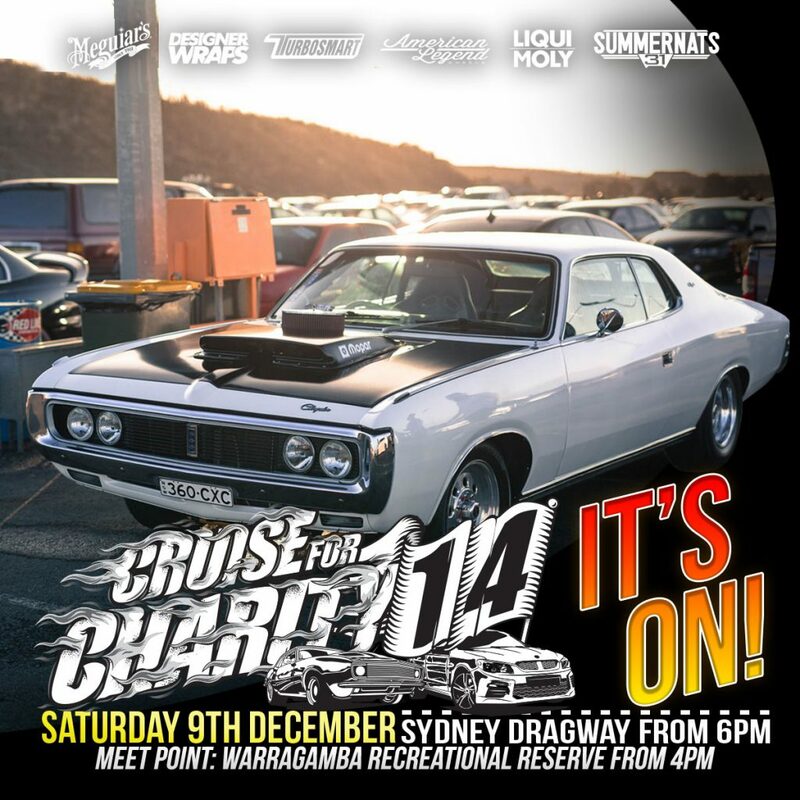 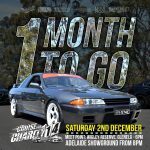 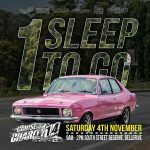 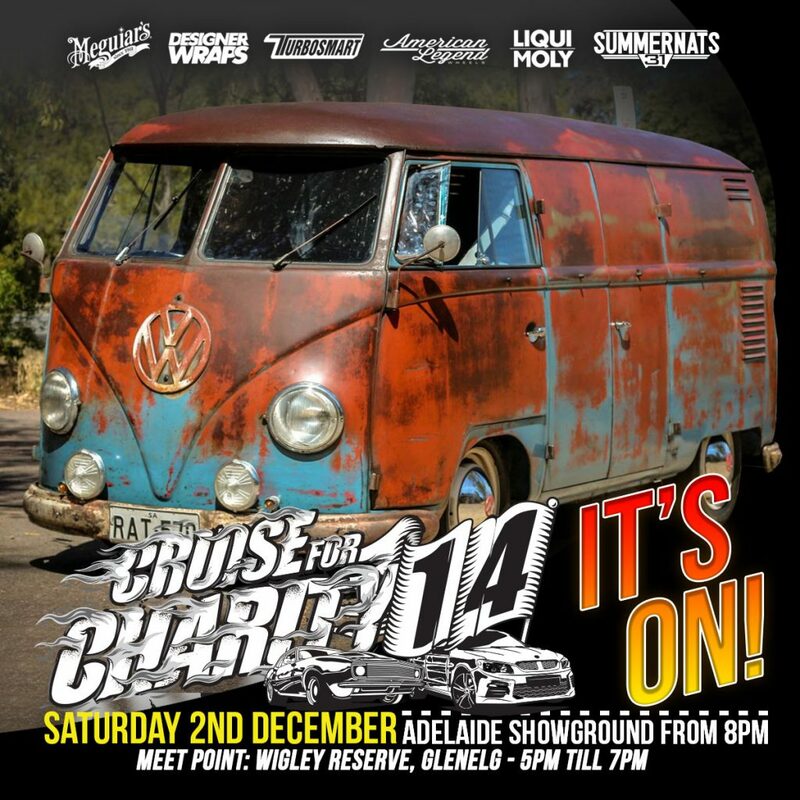 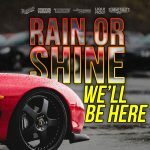 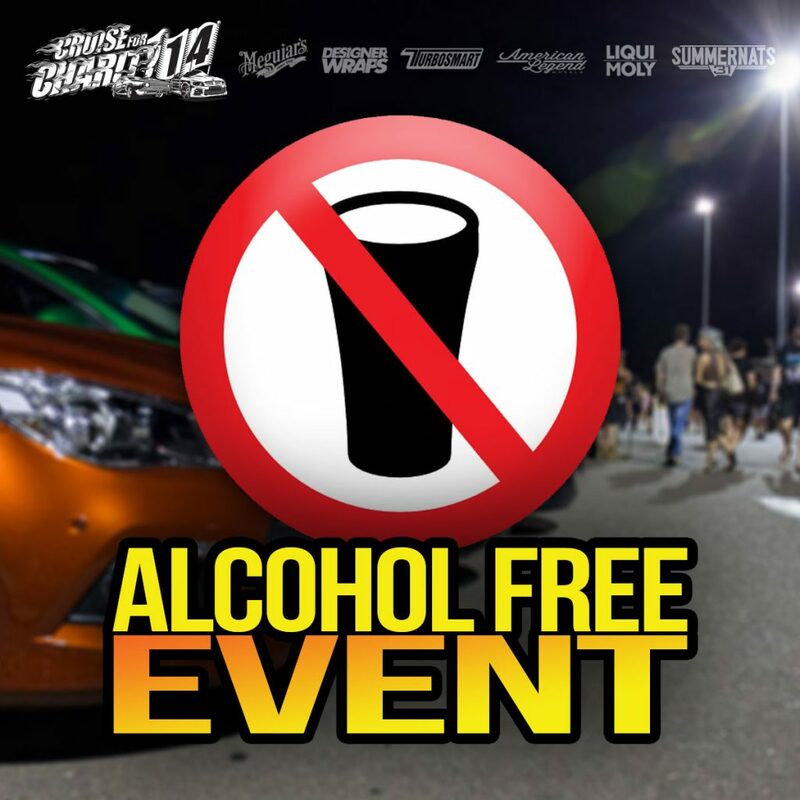 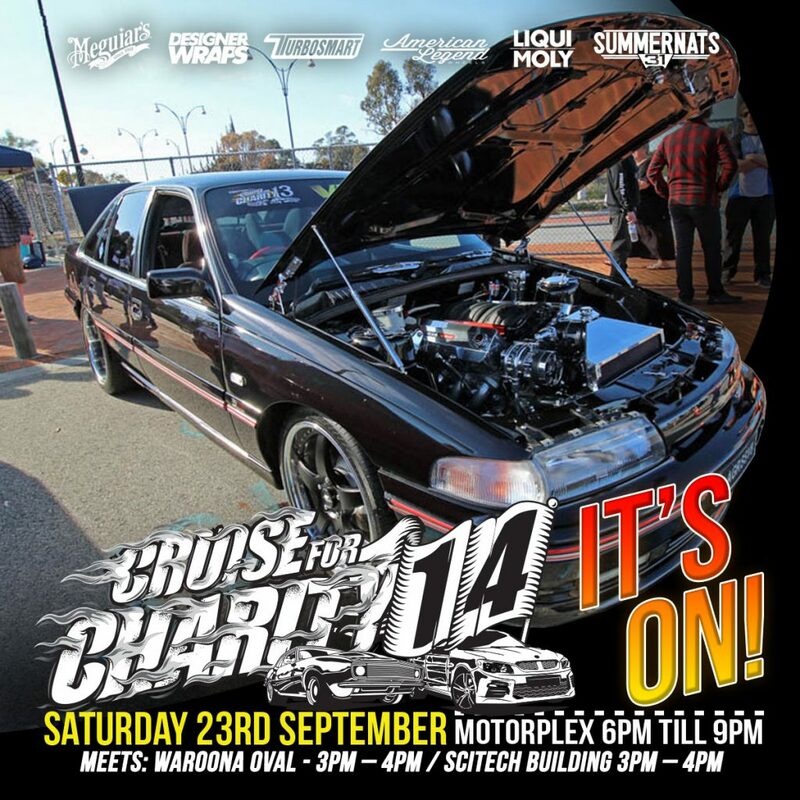 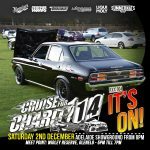 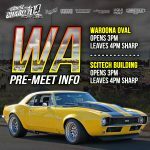 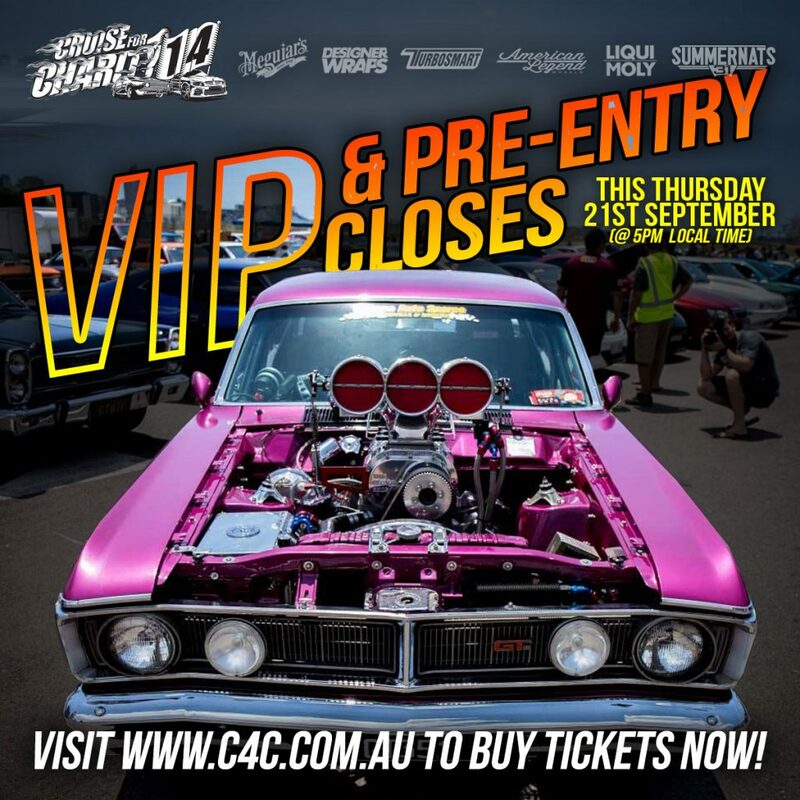 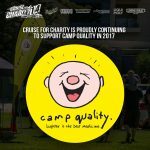 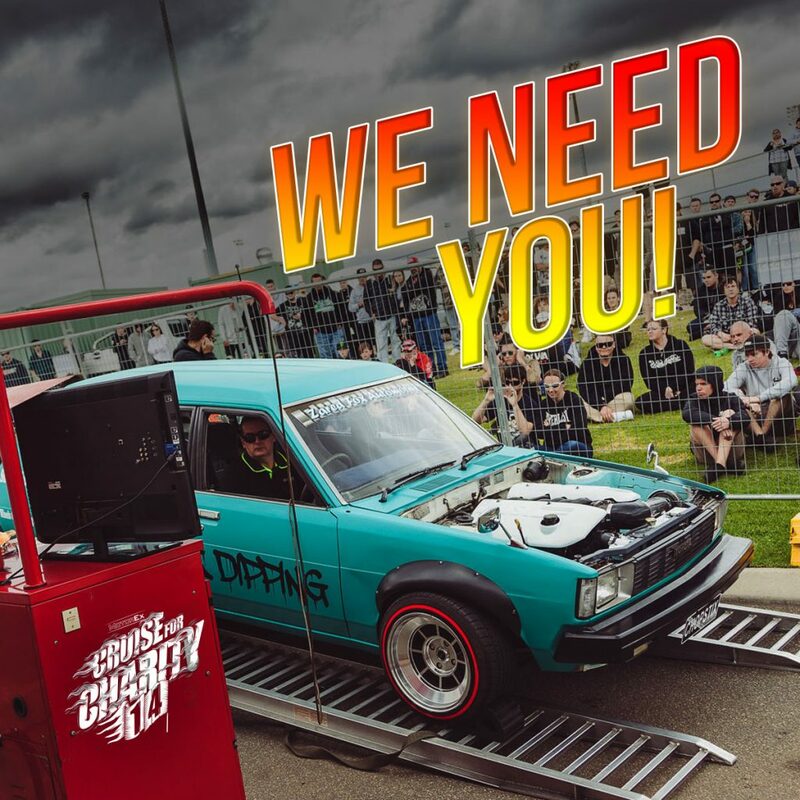 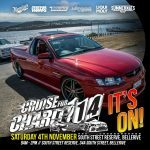 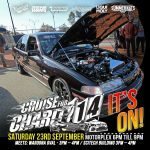 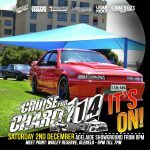 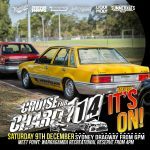 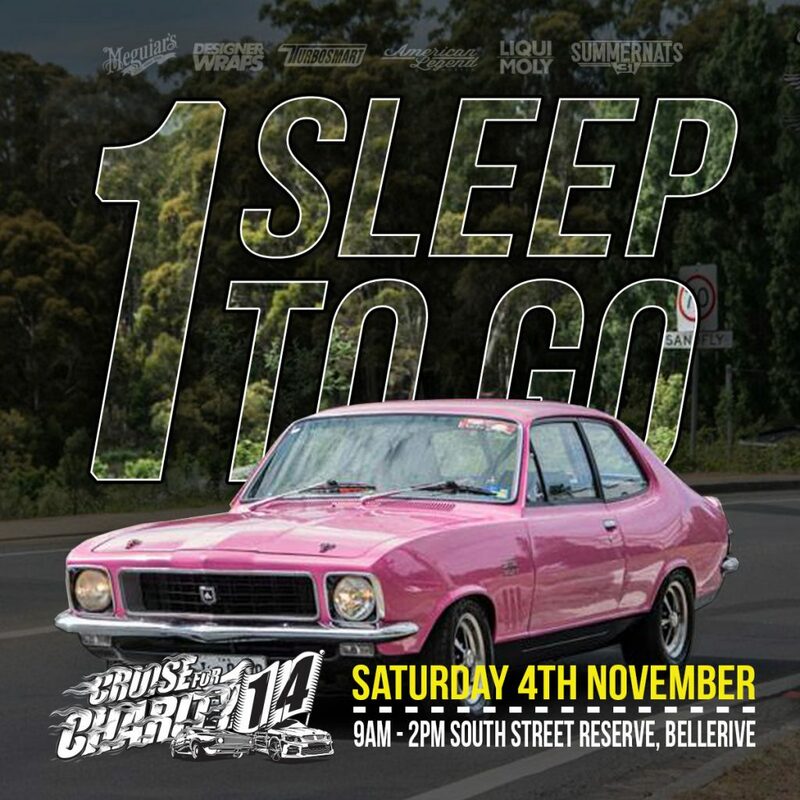 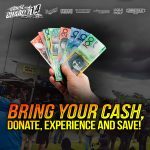 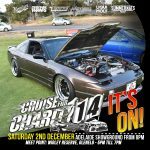 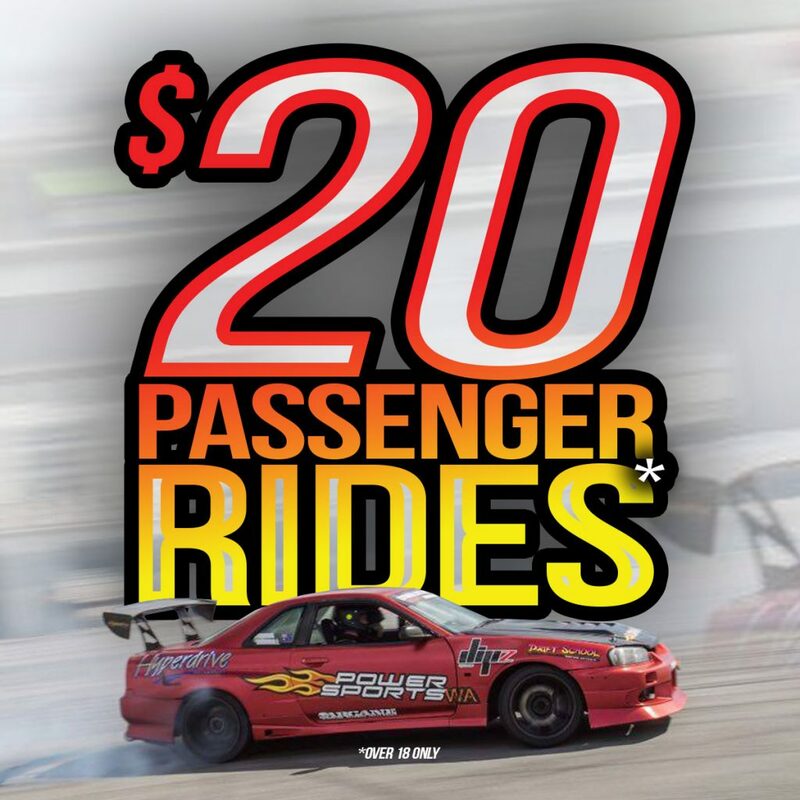 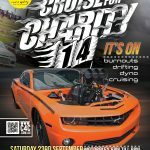 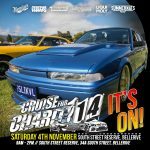 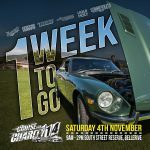 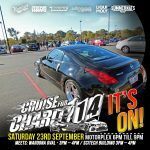 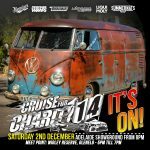 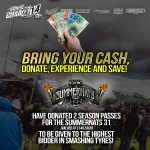 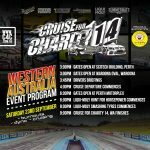 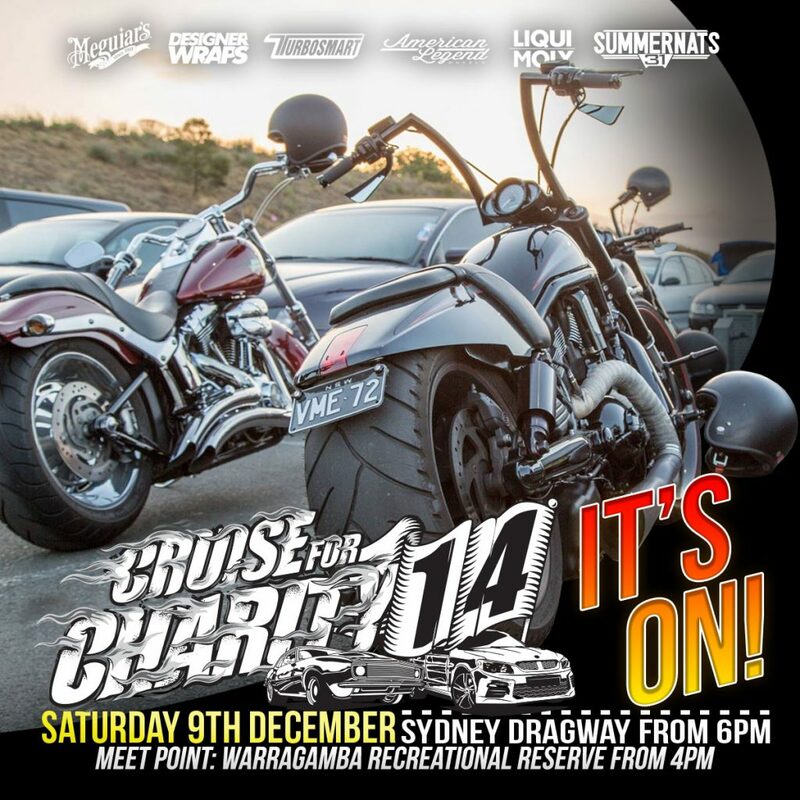 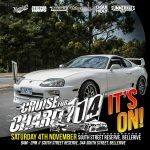 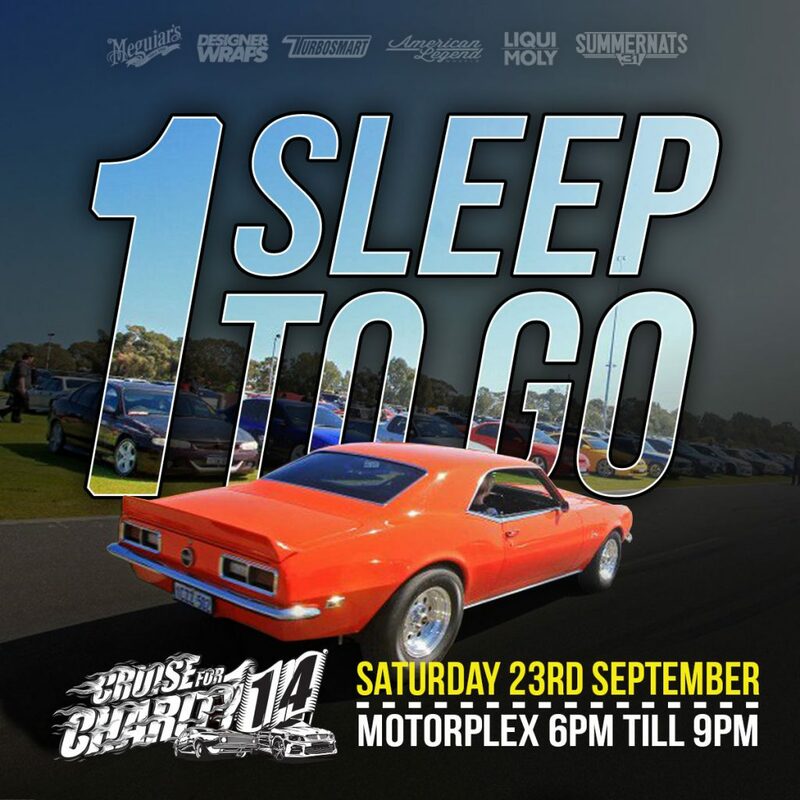 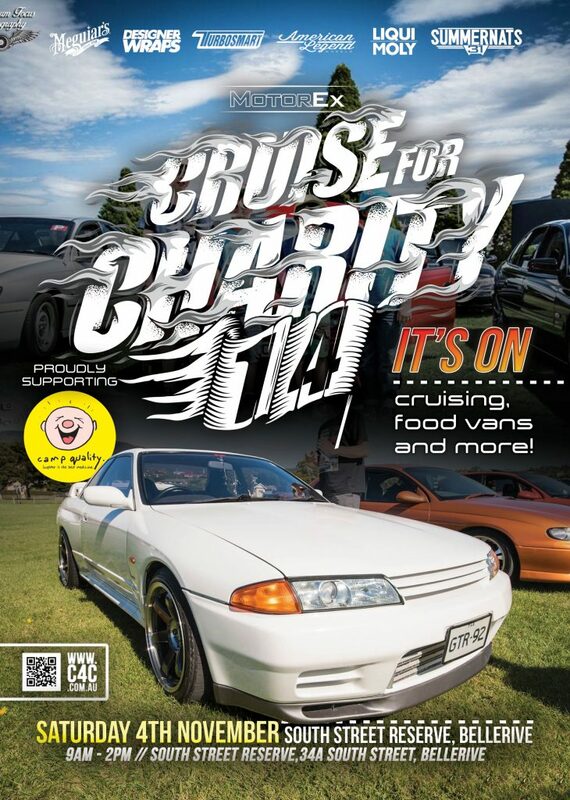 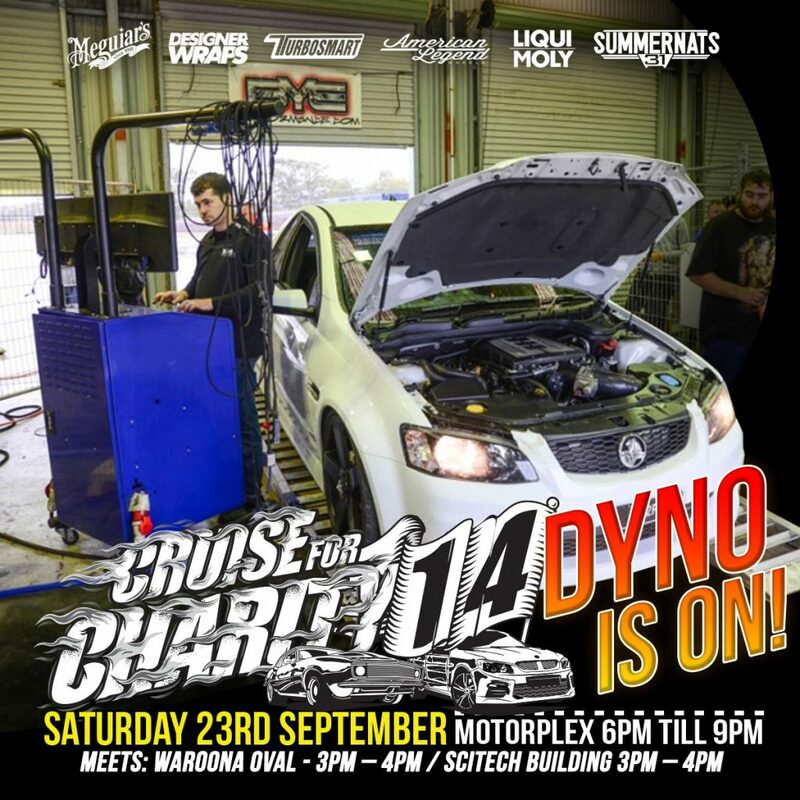 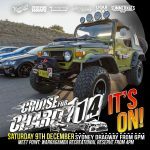 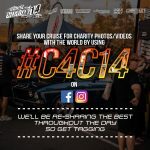 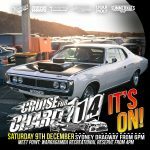 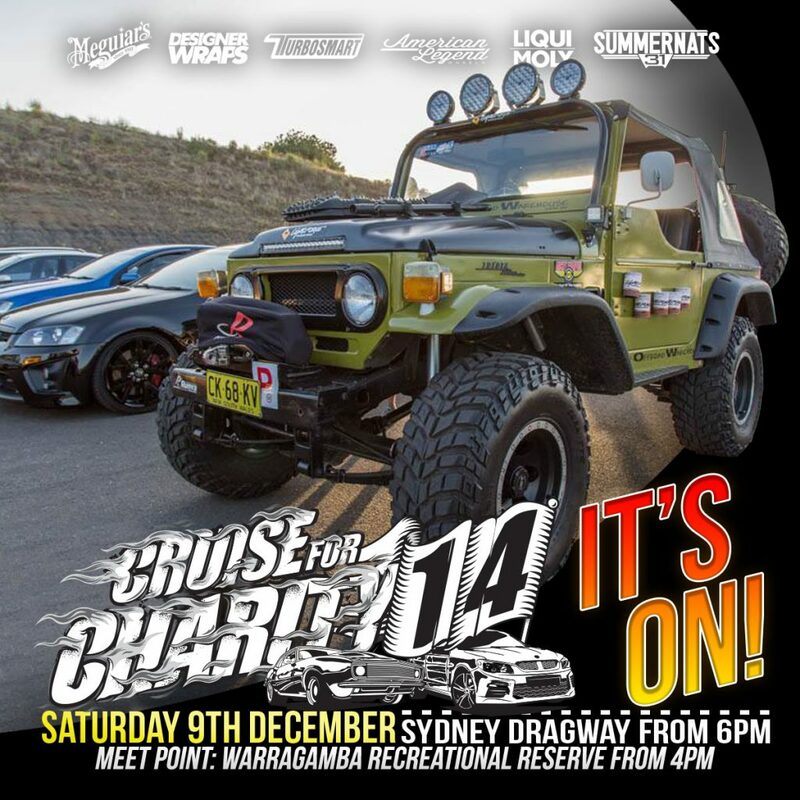 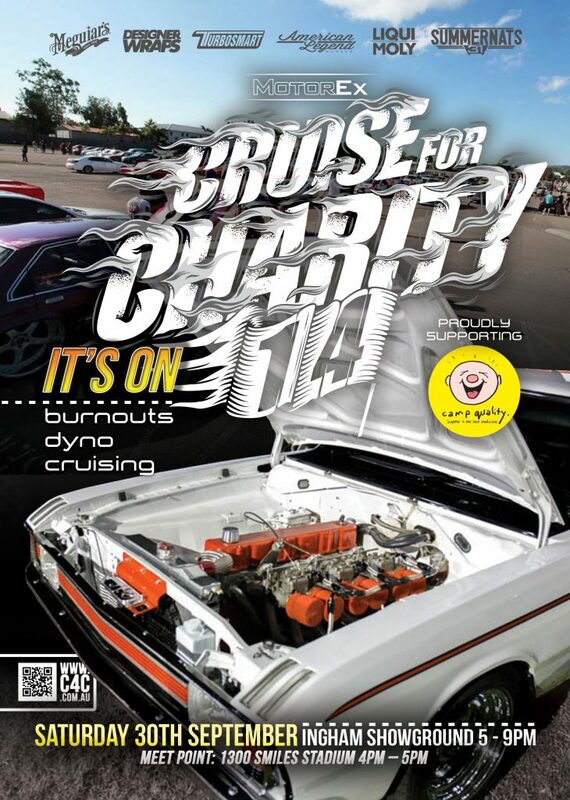 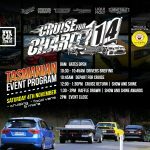 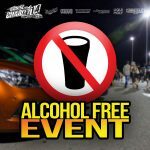 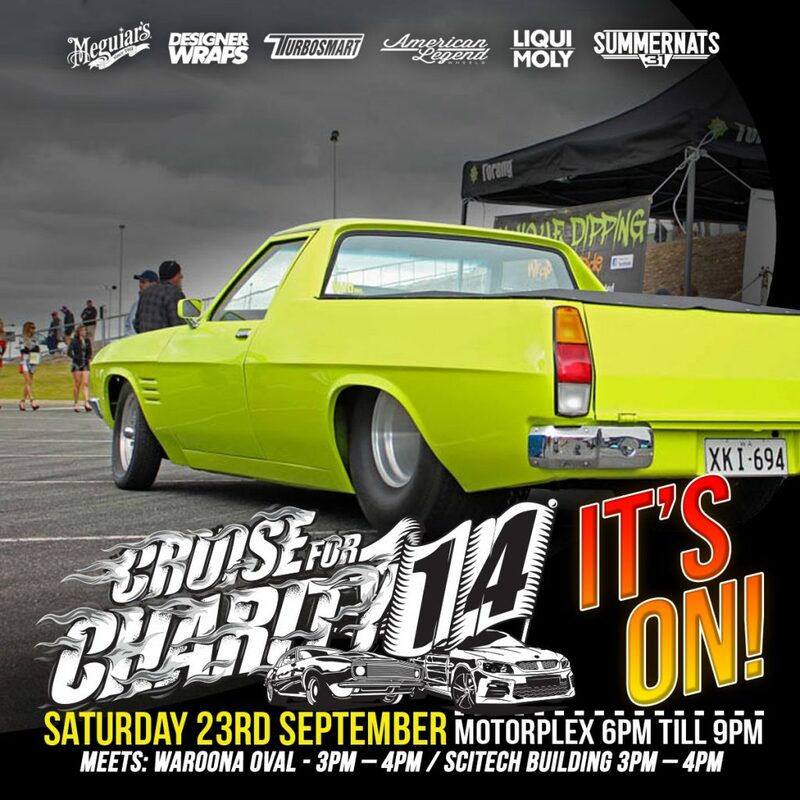 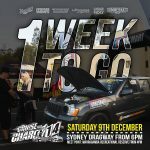 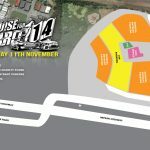 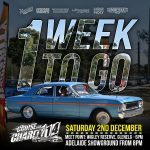 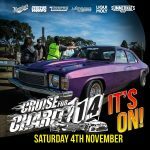 From September to December each year, MotorEx Cruise for Charity operates seven events across seven states of Australia, creating the largest national automotive campaign within the automotive aftermarket. 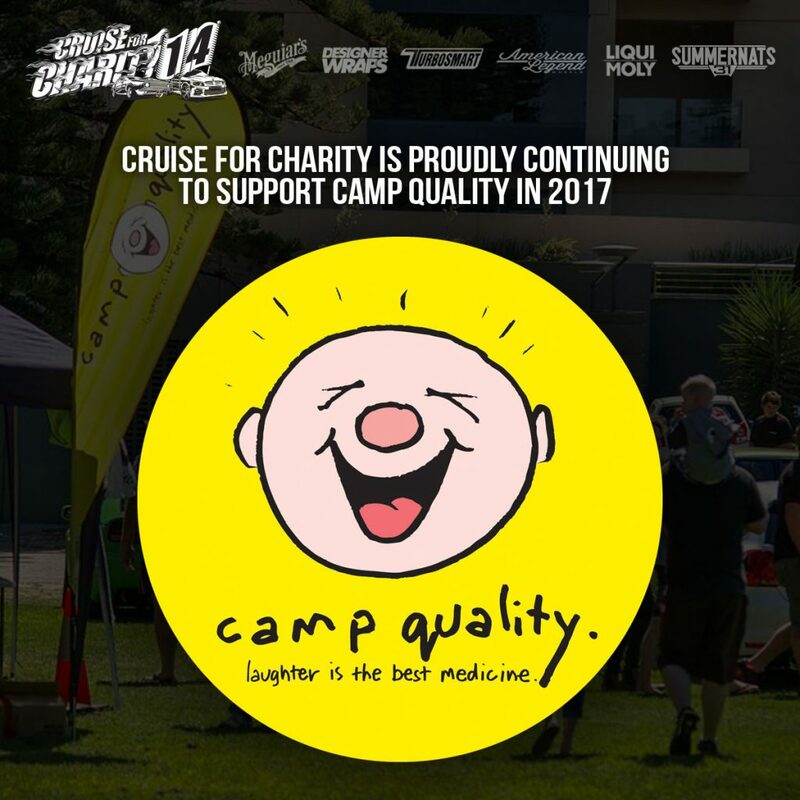 2017 see’s the event celebrate its 14th year of operation and to date has raised over $1.7 million dollars for charities dealing with children’s health, and in 2017 Cruise for Charity will continue to donate to Camp Quality reaffirming the event’s commitment to supporting one of the most heart-wrenching aspects of modern medicine. 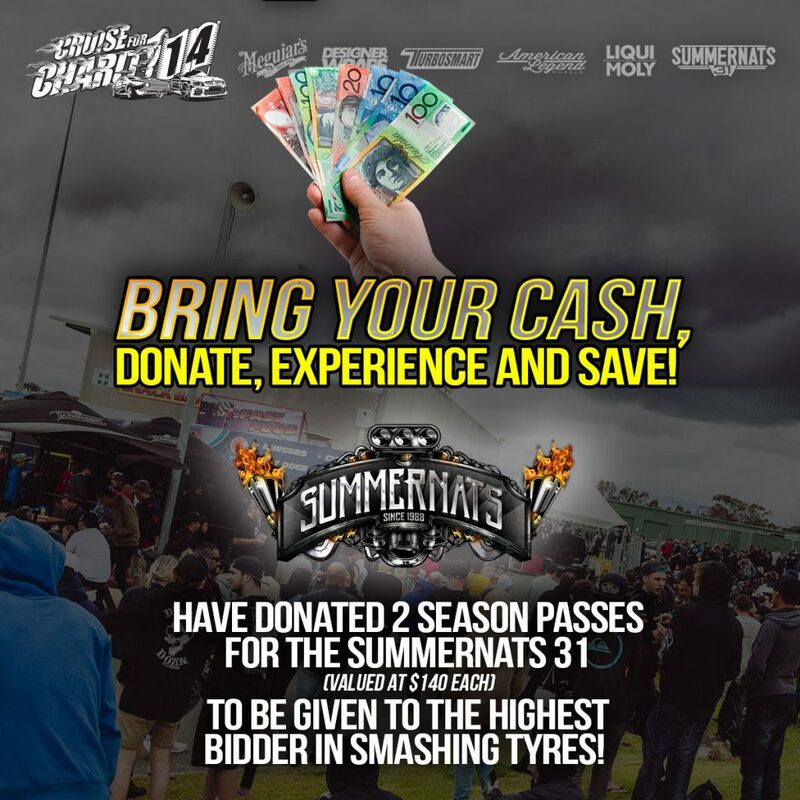 See their website for more info!